Lumba Lumba Guesthouse comprises five private beach bungalows, nicely spaced around 15 metres apart along the white sand beach of Warasnus Cove on Kri Island’s southern shore. All the bungalows sleep two people and have covered verandahs with fantastic views across the Dampier Strait to Batanta. A table and chairs are provided on the verandahs. All bungalow bedrooms have mattresses with covers, pillows and mosquito nets and each bungalow is also equipped with a hammock. The large dining shelter is raised on stilts above the high tide line and affords the same magnificent Dampier Strait seascapes as the bungalows. A large refectory style table and bench seating provides the setting for meals. 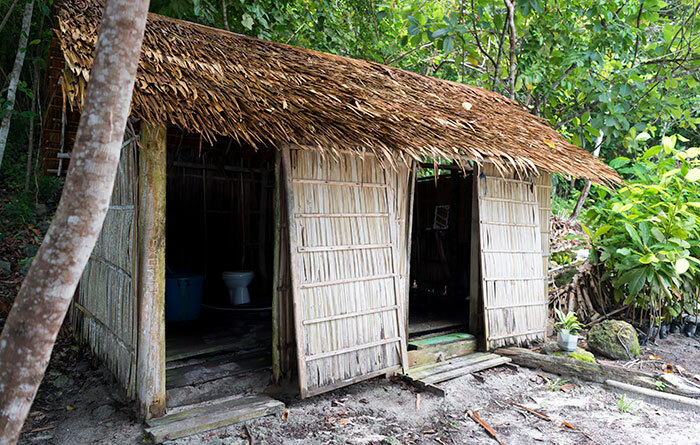 The shared toilet and bathroom building has two dip mandi style bathrooms, each with a western pedestal style toilet. Electricity for lighting and charging devices is provided by generator which runs between 6pm and 1am and the guesthouse is a short boat ride from Yenbuba village on Mansuar where you can purchase basic supplies. Lumba Lumba Guesthouse receives an erratic phone signal that is sometimes capable of supporting a data connection. Lumba Lumba Guesthouse owner Dedy Mayor speaks good English and lives on site. Transport between Lumba Lumba Guesthouse and Waisai costs IDR 800,000 one way. The cost can be shared between passengers and the journey is by speedboat that can carry up to eight passengers. Lumba Lumba has an on-site dive center with compressor, tanks, regulators and BCDs. Guests need to bring their own mask, snorkel. fins and wetsuit. Dives can be organised at Manta Sandy and Arborek, Cape Kri, Yenbuba Jetty, Chicken Reef, Sardine Reef, Mike’s Point, Mioskun, Blue Magic, Sawandarek Jetty, Friwen Wall, Ransiwor Reef, Wai WW II airplane wreck (special request) and others as required. Contact Lumba Lumba for prices. Snorkelling trips can be arranged as required. Contact Lumba Lumba for prices. The free trip is moonlight trip and visit Yenbuba village. The price of the snorkeling trip at Yenbuba Jetty is idr 50,000 per person. Actually we have changed all prices except room price that shows in this page. For that reason I have asked you if you want to do trips such as diving or snorkeling, so that I could send you all the information. I apologize for not really talk to you and other guests on that time. We are happy to welcome everybody in lumba lumba diver or not diver. Sometimes when I saw guest enjoy and relax with snorkeling at the house reef, I just do not want to bother them. The things I did is make sure they have good service in accommodation. Thank you Colin. I appreciated your comments. Hi Dedy. Just letting you know that we have removed all the tour prices on this page until you are able to provide the correct ones. Thank you very much admin. I will send all the details soon. We stayed for two and a half days in Lumba Lumba in february. Our bungalow was nice, big and new, even with a fan. The beach and the snorkeling is amazing there . We saw Napoleons, sweet lips at Yenbuba jetty and many turtles on the way. Dedi and the others are nice, Berti always with a big smile on his face. On the first day the meals were good, although we had to wait quite long. Then the food became worse, very dry and was not as tasty anymore. When we realized, that the drinking water we both had, was not clear, Berti changed it, but it was too late. First me and some hours later my boyfriend became very sick (stomach). We were so sick that we were both lying for two days in bed, in our next homestay. We think it was the water and we hope that Lumba Lumba will do something about it in the end. Before you left to Batanta, your husband came to the kitchen and paid for room. He did not pay for the trip you have made. He said that he likes everything in lumba lumba and the food was very good. He is a very nice man with a big smile. He did not mention anything about the problem with the drinking water. I have just talked with Berti and he said that he could not remember that he changed a non clear drinking water in guest room. Thank you for your comment and we will put more attention in preparing the drinking water. As an information, the drinking water comes from Waisai. We enjoyed our stay in Lumba-Lumba so much. The enviroment perfect for relax, the view from the bungalows is stunning. The food was beyond our expectation, varied, delicious. We had good dives with Dady, and the whole time was funny. Keeping the time was not the best here, but we were on holiday. Anyway, always turned out we got better oportunities with the delay. The three puppies are very cute! You can snorkel from the bungalows, or just watch sharks from the dining area. Thank you Dady for the best days in Raja Ampat! Thank you for taking time writing good comments for us. I hope to dive with you again. Overall, our stay here was fine. First, the many positives. The food was delicious and plentiful, the facilities were nice, the house reef was excellent, the use of the Kayak was wonderful, the staff who cool and Clea (Pak Berti and But Rifka) are kind and accommodating, and walking around Kri- including the path behind the homestay – was nice. The downside was that the owner- Dedy- of the homestay almost never spoke to guests directly during our stay, which was much different than the other homestays we experienced and seemed a bit rude. We chose Lumba-Lumba to dive but since all activities were arranged by the dedy- it was very difficult to arrange. Usually dedy would speak to one guest and explain the plan (he and the one guest would choose the plan together) and then the guest would announce the plan to others while dedy was elsewhere. So if you are not the one guest he speaks with you don’t really have a say in the plan or types of dives you take. There was no clear method or schedule for selecting dives and trips were cancelled at the last second. Dedy is the only dive master at this homestay- and was clearly pretty exhausted. 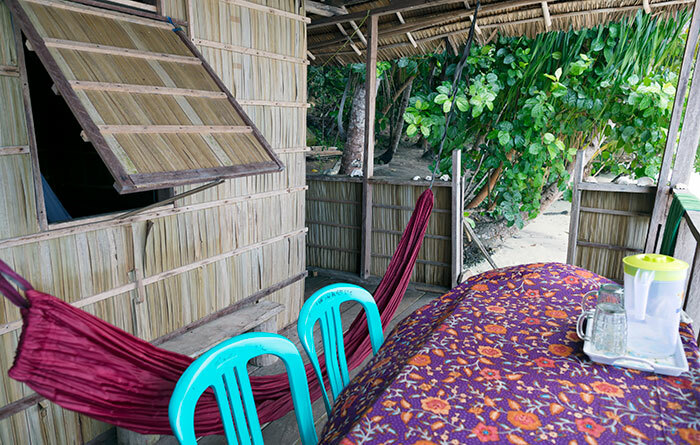 We do not recommend this homestay for anyone who wants to plan dives or day trips. However if you just want to relax and snorkel then this is a great place. Also, the prices listed here are old and may not reflect what guests are charged at the end of their stay. Dedy acknowledged this is a problem, and so this may be fixed in the near future. I am trying to do my best when you were here together with the 10 other guests. I arranged a boat to pick you up and make sure you have a good stay with us. In your message via WA you have said that you will do 1 dive and you did. Sometimes it is hard for me to arrange one dive separately with the other diver, so you just join the dive in WW II Batanta which is I think not easy for you. It is true that I was very exhausted (no rest from December 2018). I did one week holiday and back next week for diving again. I will try to speak well with everybody and make good plan for trips etc. Thank you Talya for your comments. Best food yet, but I also got sick here. Brackish water baths and lots of jellyfish may have been factors, but I am 65, so perhaps my immune system is a bit off. The family is super nice and while there are ambiguities in dealing with the man of the house, trips seemed to occur as decided by visitors and the guy who cleans is very sweet. I’m going to come back again! Payment issues that I have tried to resolve with little success. Thank you for your comments. We are going to solve the problem with water. You are very welcome to join the trips. I have sent you email before your arrival to ask about your plan of trip, but I got no information from you. It is same with the information of pick up. You said in your booking that you need Waisai pick up. We sent a boat and you were not at the port of Waisai. I am going to send you the Paypal Money Request and all you need is only your credit card and follow the instruction that I will send to your email. Thank you Dusti for your comments. When I snorkeled in front of this homestay, I saw lots of suds in the ocean that seemed like they were cleaning chemicals from this homestay. I hope someone will ask them to not pour anything into the ocean. Do you have a photo or video of these suds and their location? What was it about them that convinced you that they could not have had a natural origin? Even if they were most definitely not of natural origin, what makes you so sure that they originated from Lumba Lumba and were not from one of the many liveaboard boats that anchor in that bay, from a nearby homestay, or that they had drifted from elsewhere? We think it’s unfair to blame a specific homestay without citing any facts to support your assumptions. I am not the type of traveler who easily writers a review unless it’s worth. And for sure Lumba Lumba deserve an excellent more than 5 starts review. My girlfriend and I stayed 3 weeks and everything was perfect. Dedy picked us up from Waisai even though the weather was bad. We stop in a small island in between to wait until the storm passed by and then we headed to Kri. Extra star because of that!!! Our over water bungalow was very beautiful and cozy, bed, mosquito net, hammock and great view. We saw mantas jumping a lot of times and of course the infamous loumba loumba dolphins passing by as well as sharks, walking sharks, string rays and turtles (of course you need more than 3 days). The food was plenty, delicious and with a great variety, Rikpa is doing her best to satisfied all the needs and even the busy days (10 people) the food was more than enough for everybody. The stuff of Lumba Lumba is doing their best to keep the customer satisfied and keep the place in tip top condition, trying to change bedsheets often, refill the water in the toilet and having coffee, tea and water all day long. We did a lot of dives with Dedy and for sure it’s by far the best dives I have done. Dedy knows the dive sites as the back of his hand. We were never in a rush and because of that we were always diving alone in the dive sites. Even if the dive site was busy at the moment, we were waiting a bit and then we were alone. Another extra star!!! Underwater Dedy is calm an relax and it’s giving you space and time to enjoy your dive. And for sure is a master of macro thinks. The house reef infront of the homestay is very healthy and with a lot to see diving or snorkeling, turtles, sharks, bumphead parrotfish just to name a few. Raja Ampat is still an untouched place, with a great biodiversity, unique environment and real people and it’s our responsibility to keep this place as it is. In Lumba Lumba you can feel as a part of this community, at least we felt like this and we left we great memories. Thank you everybody for making us feel like home, thanks Dedy for everything and hope to see you again!!! Thank you for staying with us. It was such a wonderful time to dive with you guys. I hope to see you again. Would you mind come back to me via email ? No problem, give me your email and tell me what do you think you need to know and I will reply. Sorry for the delay but I am still traveling. On the day of our arrival it was impossible to contact Dedy so even though we had arranged for a pickup by email a few days before, he did not come to Waisai and we eventually had to ask a boat going to Mansuar to drop us off at Lumba Lumba. However, after we arrived everything was fantastic! The food was by far the best we had in Raja Ampat; we couldn’t believe how healthy, delicious, and varied it was. That alone would’ve been worth the cost of staying! Our bungalow was a bit further from the others and very peaceful/quiet. When the electrical connection dropped, Dedy was quick to fix it. Even though there was only 1 bathroom for 10 people, we never had to wait more than a couple of minutes so it wasn’t a big deal. Dedy gave us some good advice about seeing the dugong, and we had a beautiful time swimming with it. The reef in front of the homestay was magnificent too. Dolphin sightings are certainly not guaranteed as it says on this page (we didn’t see any in our admittedly short 3-day stay), but we loved our time there! Thank you for your nice comment. I apologize for not being able to pick you up in Waisai on your arrival time. We had no connection and it made us difficult to contact the staff of Local homestay Association to help you to get a boat. Thank you to the Local Homestay Association who always help us in arranging boat for our guest by or not by request. I really enjoyed my time at lumba-lumba! First of all the location is great! I never saw such a great house reef at all my stays in Raja Ampat. Dedy can tell you what to find when. There are two other homestays in sight, but far enough to not bring any noise or whatever. There is a possibility to hike up the hill and go to the north shore. In the dining area you find a description and some other informations (don’t believe the mentioned dinner-time ;) ). Also there is a book to look up some fish. Dedy is a specialist for small things we were lucky to even see a ghost pipe fish. It was nice that he even took me diving on days were noone else wanted to dive. The huts were fine. I have’nt had a small table/cupboard for my things in the other homestays before and the verandah was bigger than in my last stay. They are not too close together and have trees between the verandahs for some privacy. The toilet and shower were ok and the dining area is huge. I cant write so much about the food because I am vegetarian and with some allergies, but everyone was very happy with it. It was plenty and often there were noodles AND rice with the fish and chicken and egg and aubergines. And they offered my special diet, which was very nice. Everyone was friendly and welcoming and trying to help if something was needed. The family has a nice dog family. It is true, that Dedy can seem to be a little chaotic (only over water by the way!) – but in a very nice way. I decided to just trust him – and everything worked out very fine. I feel like Dedy is really caring for guests. He just has a lot to do, managing the homestay, the excursions, all of the dive stuff and also caring for a ill/sick family member not staying on kri that time i went there. I liked talking on everything like animals and raja ampat with him as well as i liked to go diving with him. Thanks Dedy and the whole family. I will be coming back! Thank you my friend Annika. I hope to dive with you again. We had a great time in Luba Luba. The rooms are good, especially the small balcony with the hammock, perfect for chilling after diving ;) The food is really good, the atmosphere is nice and it’s conveniently located on Kri. The all staff is very helpful. There is electricity for enough hours to avoid worrying about it. Dedi is a great host, he really takes care of his guests. We did incredible dives with him, it’s a very good dive master with whom we feel safe. He is also very funny, we spend good times with him! I’m a sad to leave. I recommend you warmly. Thank you my friend Solenne. I hope to dive with you again. – i had many dives with Dedy : just wonderfull. I am openwater and just had 20 dives and no current expériences : he was carefull and safe. And so good in spotting everything big or small it is crazy ! (Big up for the 2 octopus making love !! Haha this one we will never forget. But the stay would not have been the same without Dedy, we made a friend here and will come back for sure. Thank you my friend Dahvia. I hope to dive with you again. The place is great. Lumba lumba is located on a quiet side of the Island, with stunning snorkeling on the reef, just in front of the bungalows and a good accessibility to the most popular dive sites. View is perfect, and the bungalows are really nice, and almost all newly rebuilt. I had planned to stay for a few days, but couldn’t leave and eventually stayed for 10 days. Ribka cooks with love, and everybody there agreed on the fact that food was great, and everybody gets enough ! Ok, organisation about diving could be improved but it works, and Dedy is safe and also a great guide, finding things you would never see by yourself. Awesome time and dives at Lumba Lumba. Thank you for your comments. I hope to see you again. This homestay should be good, the rooms are nice, bathroom is nice, but only 1 to share between 9 people when we were there. Food was also good. But unfortunately the guests don’t come first at Lumba Lumba. First of all it was impossible to contact Dedy so I could not arrange our arrival. His phone and email “don’t work”. We planned to do plenty of scuba diving here, that was the reason for booking Lumba Lumba. But when we arrived it was difficult to find out the plan for the next day’s diving. Eventually at around dinner time we find out there would be 2 morning dives, one of which is a macro dive. The 2 of us are not interested in macro diving but Dedy explained that is his speciality and so that is what he plans to do. Doesn’t matter that there was only 3 potential divers and now 2 don’t want to dive because of what was on offer. So Dedy and the Italian divemaster end up taking out 1 diver that day. I also asked if it was possible to dive morning and afternoon, I was told no they don’t do that, it seems the divemaster likes the afternoon off to do her own thing. I mentioned I’d prefer to dive all day if possible as I was concerned about freediving after scuba and when she asked who told me that wasn’t a good idea, I said “SSI, on our freediving course” she told me that was rubbish and not true, then told me all of her diving qualifications. So there you go freedivers, what SSI and PADI are teaching you is not true, says the DM from Lumba Lumba. If you ask about mealtimes, the answer is “depends on the diving” – this is despite the fact there might be 9 guests and only 1 diver, you may have to wait until 2pm for lunch, and they won’t give you a time in advance so it’s impossible to plan your day, you just have to hang around and wait. Quite the opposite from the last time I stayed on Kri at Brar homestay where if we had a trip planned we would request an early breakfast or something and the host was always happy to accommodate. But at Lumba Lumba it feels like more of a prison, you eat when the divemaster is ready to eat. We ended up doing 10 dives with Wobbegong dive center and they picked us up every morning and dropped us off at no extra charge, they were great and always tried to give us the choice of dive sites and we had some great dives. Dedy was rarely around to arrange anything, so when it came to check out we couldn’t arrange a boat with him to our next destination – Batanta. And with no phone I couldn’t call him either. Fortunately some guests that Dedy was supposed to collect from Waisai turned up in another boat as we were ready to leave, they couldn’t contact him so made their own way to Kri. So I asked their boatman to take us to Batanta. As we were loading the boat Dedy came back but one of the other guests said he seemed to be drunk so probably a good thing we didn’t book transport with him. A change in attitude and a host that you can contact and this place could be 4 or 5 stars, but sadly it falls well short of that at the moment. I am truly ready to answer your comments. You arrived at Lumba lumba and and Linda the instructor welcome you and explain about everything the life and diving. From your conversation with Linda, we knew that you have done dive in Raja Ampat. I knew from many guests that if they have done dive at Raja Ampat probably they want to see certain things underwater. From then I kindly offer if you want me to guide you for macro dive. On the dinner time when we are doing planning you have confirmed that you will dive tomorrow. In the morning when we are ready to dive, you said you are not diving and only snorkeling. I and Linda then took only 1 diver to dive. We dive everyday, but Sunday. I am happy to bring guest to spot they want to go and to show them special things underwater even the macros. So, we do fun dive and we see everything we want to see on the spot. Meal times are not depends on the dive. On the next day you went diving with wobegong, you have asked for early breakfast and we did it for you. And when you came back later in the afternoon about 2 pm, you got your lunch served for you separately from the other guests who have finished the lunch. I am truly sure we did the best for you on accommodation. Again, the meal time is written on the flyer we put on the restaurant and not depends on anybody. When it is meal time, you are very welcome to the restaurant. If you want to have breakfast, lunch, or dinner before or after the meal time, please kindly asked my staff at the kitchen. They are more than happy to prepare it for you. As you did for breakfast and lunch sinve you went diving with the other company. For boat transfer to Batanta-Let me made this clear for you. The boat that brought you to Batanta (Yenaduak Homestay) is the boat that I arranged to bring my guests Jo from Biodiversity resort to Lumba lumba. And the driver, Sengky Urbata is the one who is working with us to transport guests. We have asked him to bring Jo to Lumba lumba and then bring you to Batanta. I think you might not remember this since you have asked me to bring you to Batanta so I arranged the boat for you. I went to fill the gasoline at the village and bring three guests who are Gabriella and her friends to Warimpurem homestay at the time you arrived after diving. The truth is I have arranged all boat that took guests from Biodiversity resort (not Waisai), bring guests to Warimpurem and also bring you to Batanta. What you have written thay you did not want to book transport from us is not true. You got the boat ready for you because I have arranged it for you. You were really heavy drink when you asked the boat transfer to Batanta, so I think probably you forgot it somehow. Thank you for your comments and your 3 nights stay with us. Odradzam ten adres pobytu dla wszystkich ktorzy chca tam pojechac !! Dedy nie jest profesjonalista i niestety ma problem z alkoholem.szkoda tylko jego Zony super super kobiety !!!! I do not know why you and your girl friend Brigitta seemed really hate us. Yes, you are not dive with us and we apologize many times for that. You stay one night with us and pay only idr 100,000 and we accepted it. I just do not understand why you are really hate us. Hello Dedy, sorry but this review is not written by Petr my husband. The language written here is not Czech, where he comes from. And we do not hate you. Please read carefully my previous review. It’s all just suggestions on how to improve Lumba Lumba Guesthouse. Well, I will start the review with the good things from the guesthouse. I really love the place, the view from our verandah, the hammock, the delicious food with plenty of fresh fruit. The location in the southern shore of Kri Island is really calm and not cramped with lots of people. But, the diving was really disappointing. Me and my husband traveled to Kri Island to dive and chose Lumba Lumba Guesthouse because it’s the only diving base on southern part of Kri and we would like to see other diving spots in Kri Island. We planned to stay for 8 nights in Lumba-Lumba but left after 1 night. We arrived on January 16, 2019 and left the guesthouse the day after. 1. BOOKING. First challenge is to get a room here. We booked the guesthouse by stayrajaampat.com, 2 times, and didn’t get any answer. I also sent booking request from their website, but no answer. I got his phone number from stayrajaampat.com and found him on WhatsApp, so I messaged him. He replied and confirmed that he had the room for us. We asked for diving price and Waisai pickup but no answer at all. 2. COMMUNICATION. We arrived in Waisai and message him, call him, but again no answer. Since he confirmed our booking, we decided to rent a boat available at the harbor. Lucky us, their neighbor Warasnus Homestay was willing to take us there. 3. DIVING SCHEDULE. This is the biggest problem in my opinion. If you are okay with “no planning” then this will not be a problem for you. Lumba-lumba doesn’t have good activity planning at all, especially on diving. No one knows when the dive starts and where will the dive be (it is really flexible). We experienced just 1 night, I understand that it is not representative and maybe we just came on wrong time. So, the owner and the dive guide Dedy told us that the dive will start at around 6.30-7.00 in the morning (this he said also because Linda, an Italian dive instructor who helped him a lot and a back-coming guest for 4 years, asked him). Yet the next day, there was no dive at all. This is the main reason why we left the guesthouse. We lost a day for diving and we are really sad from it. 4. PROFESSIONALISM. Dedy the owner doesn’t have this. He left in the evening to Waisai and came back around midnight. When he’s not around, the electricity doesn’t work. So all of us had dinner in the flash light and one candle light. It is also a potential problem for divers who take photos, you will not be able to charge your camera and flashes when Dedy is not around. But then he turned the electricity after midnight. Other case is that he had a really huge fight with his wife, after his returning from Waisai. And they yelled really really loud in late evening. We were about to go sleep but couldn’t do so because of this. Moreover, when we get ready in the morning, the boat that supposed to take for diving was not there and came around 8.30 am. At that time there was no water and no hot water. Hot water was made after one guest asked for it, and the same with the fruit as breakfast (or she took it from the kitchen herself). Breakfast was served approximately after 10 am (we left to find another homestay at that time). Even though the food is the best, this attitudes must be considered. This is really shame since the guesthouse has a great value, without professionalism and good management the guesthouse will lose its guests. As I said before, we might have came on wrong timing and experienced this, but on the other hand we are happy to experience this on our first day, so that we can move to the other place as soon as possible. I hope none of the future guests will experience this. Thank you for your comments. I apologize for the noise we made and for the inconvenience during your one night stay with us. We (me and my wife) are promise to change our attitude, so the next coming guests will happy to stay with us. We are working and want to make sure that our guests happy. We are diving everyday, but Sunday. On that day Wednesday, January 16th I made planning after the two dives in the morning. After that I went to Waisai to pick groceries. On my way back, I have losted my way since very bad weather (rain and big waves) When I arrived at Lumba lumba around 11pm, my wife told me that the guests had dinner with torches since no light because of no gasoline. The generator was on since morning and it was off almost before dark. We were talking out loud and it was not good. I apologize for this inconvenience. I could not work well with all bookings since I had problem with my cell phone. I have changed the mobile phone number, so every booking could reach me through that number above via text message or whatsapp. Besides your comments are such a good value for us, but I felt little bit unfair since you stayed for one night (3 times meals and got the brand new bungalows), but you did not want to pay for the accommodation and only gave IDR 100,000 to my wife as a thank you for the good food. I thought it is best to discuss before. Ww would like to rent a bungalow from 22 till 28 February. We send you an email 2 weeks ago, but didn’t got any answer. And we tried to call you. Could you send us an answer? I spent 5 night at Lumba Lumba, a truly corner of Paradise. Thank you Dedy you and your staff are wonderful. Thank you Mr. Oliva. I hope to see you again. We have just come back from Raja Ampat after staying three nights at Lumba lumba. This is , in my opinion one of, or if not, the best homestay in the whole island. Located in the south part of the island, you will feel as in paradise with only one homestay nearby and the whole beach and jungle for yourself (The other side of the island is FULL of homestays all cramped together). However, lumba lumba has plenty of space to walk alone and snorkle in front of the huts, where you will always see plenty of fish, turtles and sharks. On the other hand, food was great. There was variety of everything: rice, chicken, fish, fried banana.. and many fruit. Breakfast was the best part, with homemade ommelet and warm donuts and cake for everyone. We did not dive but Dedi told us to join him and two other divers to some spots where we could also snorkel and see many fish and soft coral. In the evenings, people from the nearby homestay go to the jetty to clean fish and many sharks come to eat the tuna heads and is a really good sightseeing!. After that you can relax on the hammock watching the ocean searching for walking sharks at night. 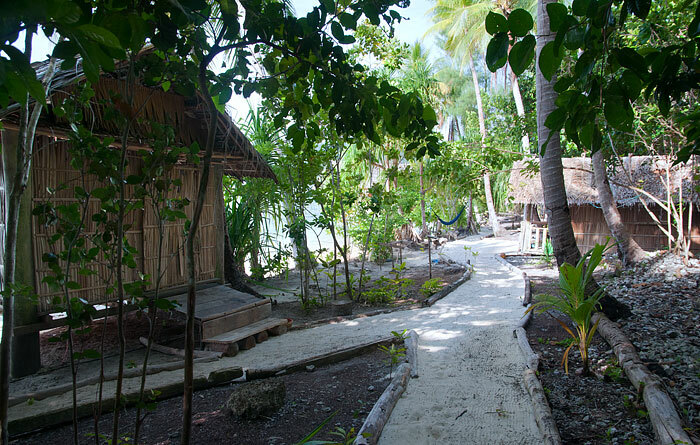 We couldn’t have picked a better Homestay in Raja Ampat! Beach shacks on the waters edge, above water at high tide. Very clean room with king mattress and mosquito net. Porch with hammock was perfect for reading a book! Western style toilet and bucket shower facilities were clean and odourless! Homely living and eating space, decorated with shells and replenished tea coffee and cake! Three meals a day with plenty of variety and very delicious! Always served with fruit and we were spoilt with delicious donuts!! Private reef was spectacular for snorkelling with turtles, sharks and heaps of fish and coral! Diving with Dedy was amazing, very professional and safe. Was able to plan dives suitable for your level and pointed out many different animals including cuttlefish, lion fish and seahorse! He was very friendly and organised transfer boats and daily plans each night. The rest of the family was lovely, including the four puppies (clean and friendly)! Overall, beautiful stay and very glad we came. Would recommend highly to couples, friends and anyone wanting to dive or snorkel Raja Ampat! Thank you Mike. I hope to see you again. I will make this really short and sweet. My girlfriend and I stayed at Lumba Lumba for 5 nights during our visit in Raja Ampat and our accommodation was simple and wonderful. We couldn’t have asked for a better place to finish out trip. Thank you all very much for the memories and we will see you guys again soon in the near future. Namaste. We stayed in the nearby Warahnus Homestay in April-May and were very happy to learn about services of the Lumba Lumba diving center. We focused on snorkeling only and were lucky to join a boat trip to the Kabui Passage and the Friwen Wall organized by Tibo and Carrie from the diving center. They are great managers and very nice people and we would recommend everyone to try both snorkeling and diving trips they organize. German and British guests of our homestay had several diving trips with them and were very satisfied. In addition, Tibo and Carrie kindly gave us a lift by their boat to Waisai on our way home. They know how to make people happy. We stayed here for 4 nights and really loved it. The whole setting is amazing, huts are right on the beach and there’s a plethora of things to do. We snorkeled, dived, hiked and relaxed. Compared to other home stays around Raja, it is cheaper, cleaner and has better food. It also has a Dive Centre run by two great instructors, who really made our stay. Tibo & Carry are so welcoming and knowledgeable of the area. We are reasonably novice, having just gained our PADI, and they were able to design our diving trip around our needs. We had read that you needed advance open water certification to dive here but they showed us that this was not the case. The owner of Lumba Lumba (Dedy) is very lucky to have them as they provided a level of hospitality to all the guests that we didn’t experience in many other places. Communication in the build up to our stay wasn’t great and we only really saw the owner once but these guys did a fantastic job on his behalf. We came on Kri island by the end of April 2018 with my wife and my two childrens (9 and 12 years hold) and we had a perfect stay in Lumba Lumba. The bungalows and the whole place are very clean and peacefull. The food cooked by Udo was excelent (fish every day). Even my childrens enjoy it a lot. There is many snorkeling places all around Lumba lumba area. Yenbuba jetty is a must for snorkeling and you can go there very easily. Thibaud and Cary received us like friends. There are carefull with our kids and have always positive attitude which is so great to enjoy our time there. We have seen so many fishes around (sharks, tortules, rays, muren, woebegong…). We have done other places in Raja Ampat, but it is definitly our best choice. We hope to come back there. Thank you very much Thibaut, Cary and Dedy which is managing very well this place. ++ all the diving equipment are new and the boat for the organizing trip is excellent. Thibaut and Cary give very good advice. Best diving experience with Lumba Lumba crew! I didn’t stay here but came from next door to join the recommended dive and snorkeling trips offered by Tibault and Carrie from Lumba Lumba. They are super passionate, friendly, knowledgeable, safety conscious and a lot of fun! I ended up doing 6 dives over my time there, including a must-do day trip to Paeinemo. On that trip the fast twin engine boat was super comfortable and everyone aboard just had an incredible day. Pak Dedy is one of the veteran divers in Raja Ampat and it was a privilege to dive with him and his wealth of local knowledge. Even in “low” season, we saw Manta rays at Manta Point (and without the crowds!). Also the nearby sites are the best around for diving and snorkelling (Cape Kri especially and also Yenbuba Jetty) so it’s super convenient! I’m so grateful to have met this crew as they made the experience of Raja Ampat a dream come true! Thanks so much Tibault, Carrie, Dedy! If you end up offering advanced or divemaster courses, let me know as I’ll definitely come back for it! I was staying at the Waranus (5 minutes walk on thew beach from LumbaLumba), but went snorkelling 4 times with Lumba2 with a group of divers / snorkellers. I agree that that Dedy and Thibault are very reliable, the dives were well planned according to tides, so we could enjoy the incredible underwater scenery very safely. The higlights for me were Cape Kri and Melissa’s garden in Piaynemo. Personal message to Sarah : I have your pictures (clown triggerfish and lion fish) but lost your email. Please text it again on my indonesian phone (0823 213 697 12). Personal message to Thibault : hope you are well, I am already planning to come and visit you next year. My boyfriend and I booked this homestay for two nights in November 2017. To confirm the reservation Dedy asked us to pay a deposit, which we did with 1 months in advance. We confirmed our reservation with Dedy 2 days before. However, when we arrived to the homestay (our previous host in Subdikhar Homestay took us there because Dedy said that the previous homestay was too far away for him to pick us up) Dedy told us that he could not accommodate us. Apparently due to a strong storm the ceiling of our cabin fell one day before. We asked for our deposit back. It took us some time to discuss with Dedy that he had to give our deposit back. He finally did but we had to insist a lot. Can confirm. I had the same experience. I think we may have met. From what I found out later from other family homestay. During high season they booked as many people possible and selected guests that are more profitable. If you only stay one or two nights they moved you to next door homestay and make money for sending guests there. If you stay for one week and diving everyday, you get the first priority because you bring a lot of money. I’m okay with that. But the fact he lied and made up pathetic excuses is unaceptable when the homestay is clearly full and bungalows all in good condition. Owner is greedy and dishonoust. May I know your name and your email please and your Booking ID if you book through Stay Raja Ampat. Please reply to lumbalumbaguesthouse@yahoo.com WE DO NOT DO what you have written above. If we are greedy and dishonoust we have never built this Homestay for working for our family. God will never bless us. We have given rooms and food to many foreigner who have never pay us until now. Sonia and Eric we could not host them on November since we have no huts for them. We trust our Homestay for 4 monts to guy name Willy who is working in Byukbeya Homestay now. He took money, but did not pay attention to guest and everything. When we came back on November we found that our homestay is in very bad condition. We are truly sorry for them and I gave back the down payment IDR 200,000 for 25% of 2 nights accommodation. I am truly apologize for not being able to host you. I did apologize and gave back your deposit IDR 200,000. The reason why I couldn’t host you is the hut that you will stay is in very bad condition. I asked you to move to Warasnus homestay. I did mistake trusting a guy name Willy to manage my homestay for 4 months. When I came back on November, my homestay is in very bad condition as you have seen it. El propietario es muy tímido pero parecen muy majos y es muy buen instructor de dive. Sus excursiones y dives estan bien organizados y a precios competitivos. Solo criticar el ruido del generdor y el compresor (lo encienden cada día un buen rato). Estan cerca de las habitaciones y al lado del comedor … El silencio, el sonido del mar y las aves se valora mucho… y mola disfrutarlo. Atención: La barca de ida y vuelta hasta Waisai es de las más caras (800.000rp)… Mejor busca otro que te lleve. I didn’t stay at this homestay, but I did go diving with them, so I thought I should comment! You just have to come diving with these guys… Dede, Thibault and Carrie are doing an amazing job to give you the ultimate raja ampat diving experience. I am quite newly qualified and Carrie took me for a dive at the house reef, which was superb! After that…I was hooked and and did 10 dives. Thibaut is very patient and knows his stuff, he always checked the tides to make the most of the dives. It was all planned very well and with safety as the priority. Dede is very thorough and an excellent guide. He knows the sites very well. Third stay at dedy and ribka homestay! To make it simple, the lumbalumba reef and the best raja house reef for snorkelers. This is a shared opinion among the people met but the meals are also the best and varied that can be found in the area. The best spot for diving are just near KRI and dedy knows where, knows when, and knows what to see in these different places. Just trust him! I read a lot of comments here. I think they are all true but I want to put my piece to the comments. I went with my girlfriend in May 2016 for 8 days. We had a wonderful stay in lumba lumba. Dedy and his family were very nice, pay attention to our wellness and maybe one of the more serious guy I saw in RA (of course I don’t know evrybody there and I was only there and in Arborek). Diving was amazing especially because Dedy knows very well his place, dive sites and very importantly when to go to which one. Spending all this time there with these people was simply very best. I think this is made for people looking for remote, untouched and beautiful places. This can be seen as far from our occidental standards but this is why travel makes sense. Dedy deserves all my respect for what we shared and during the stay I considered him more as a friend than as simply the lumba lumba owner. Yes I saw dolphin but they are fast to difficult to go close to them. So this is not the top activity. We are a couple and stayed at LumbaLumba 4 nights starting 3. January. We had a wonderful stay and everything worked out perfectly for us. We went diving with Dedy, he is an amazing dive guide, he knows his way around the sites perfectly and finds the small and the big stuff too. His wife, Ripka prepares amazing dishes. The food is delicious and she creates variety at every meal. Transfer to Waisai went smooth too even if our departure day was on a Sunday. We wanted to get to the dive sites before everyone else and asked Dedy if we could leave early in the morning, he was flexible so we left 6.30 AM and had the reef to ourselfs. We very much appreciated. Thank you again Dedy and Ripka for an awesome stay at your guesthouse. We booked two nights, emailed back&forth several times and got the confirmation two days before arrival. When we arrived at Waisai, Robert from stayrajaampat contacted Dedy for a transport. After more than one hour, Robert got informed that there is suddendly no room for us at Lumba Lumba. Seriously, how is that even possible? There are lots of bad reviews here with the same and other issues. This guy is long enough in business, he obviously doesn’t care about beeing a trustworthy and caring host. So, what is he still doing in your Network?? That’s depressing news Kevin, and is indeed completely unacceptable! We will make sure that Robert(?) from the Homestay Information Center in Waisai has passed this on to the Homestay Association so action can be taken. Just so we have all the facts, can you let us know if you had paid the deposit Lumba Lumba requires before confirming a booking? And if so – did they refund this to you? (You can reply privately via our contact form if you prefer.) Thank you. Btw: Thanks for the quick answer, you’re doing a fantastic job! And Robert was very kind and later found us another homestay. May I know your booking name? We were waiting in Waisai on Sunday for our guest name Larissa and since no one show up or contact us even Robert from the Asosiasi Homestay Lokal so we decided to back to lumba lumba. We have room for 7-9 of January only one bungalow. Please make this clear for us. You’re joking, right? Booking name Larissa is correct. We took as agreed the afternoon fast boat but nobody was there. Robert contacted you and said that you were coming for pick up. One hour later he informed us that there is no room for us. Either you or Robert is/was lying. Nevermind, i don’t care anymore..
Let me made this clear for you. We were in Waisai brought two guest Nela and Julien and waiting for you come with the morning ferry (your email arrived at 10.26 am in our mail box). Nobody show up. And also as an information for you, there is no one at the Homestay Lokal Asosiasi name Roberth. We just called them and want to talk with Robert, but they said nobody name Robert. We just wondering who is Robert and no phone call or text message from Robert on that day. 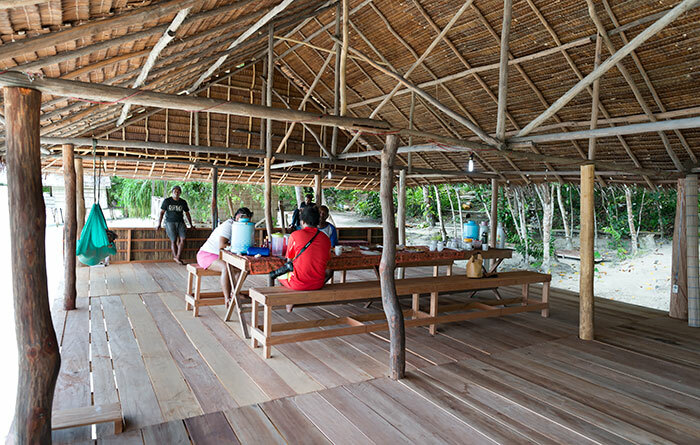 I stayed at Lumba Lumba for 6 nights over New Years with my wife and two small childern. Let me start with the positive side. Lumba Lumba is situated on the mosrcderuijtert beautiful part of Kri Island. The 2 km strip of beach is shared with one other homestay. If you climb the hill you have easy access to some other homestays, eco resort and dive center on the other side of the island. The reef in front of the homestay is amazing. Unfortunately it was slightly damaged due to a liveaboard crashing into the reef during a December storm, but corals are still amazing as are the number of fish. Expect to see reef sharks and turtles, just meters offshore. The huts are basic, but generally in good condition. The common area is fantastic and water, coffee and tea is available all day long. No additional drinks are sold. So either bring your own (coke or beer) or walk over to the neighbors and see if you are lucky enough to buy 1 or 2 beers off them. Bathroom facilities are basic bucket work, but are clean and work properly. Relaxing hammocks are present at the common area and several of the huts. Many thanks to Ripka for her amazing cooking skills. We were offered several delicious dishes for every meal, including chicken or fresh fish and fresh fruit. I understand that this was not the case at the neighbouring homestay. Again, no snacks available. Bring your own. Then the diving. This is what we had come to Raja Ampat for. And it must be said, the sites are amazing. Fantastic coral, amounts of fish you can hardly imagine. For sure we will be back to Raja Ampat to go diving again. But as it is organized today, we would not come back to Lumba Lumba for it. We were lucky enough with Linda, an Italian instructor and friend of the homestay to help out on the diving. But she did this for free, and I am not sure how things would have been organized without her. Dedy was around, but seemed not to care too much. The diving equipment is simply not sufficient. Lumba Lumba simply need to invest in 2-3 new BCDs, 3-5 new regulators and 2-3 torches. On top of that Dedy needs to hire a captain that does know his way around the dive sites when Dedy himself is not around. He currently leaves it to is underaged suns, who are great guys, but just do not know where to go. Finally I suggest Lumba Lumba get its act together as it comes to planning. Together me and my wife have done 8 dives with Lumba Lumba. But if planning would have been better, we could, and we would have doubled that amount. Now we suffered from nu gas, no torches, no captain, or no boat, not being able to find the site, etc, limiting our dives. Dedy himself is a great dive instructor, being able to find any dive site and the smallest pigmee seahorse, but when he is not around things get disorganized. Let me conclude positively, we loved our stay at Lumba Lumba, and also loved the snorkeling and the diving. Listening to stories from guests from other homestays, Lumba Lumba is still one of the best. Dedy and Ribka, thanks for the great time and hopefully you manage to get the dive center back to the top. Staying on a remote island is always going to be a little bit hit and miss but happy to report our stay exceeded all our expectations. We stayed at Lumba Lumba (which translates to dolphin) for 8 nights over Christmas and had a blast. Dedy’s wife Ribka prepared us delicious food and Dedy and his crew provided us with all the essential services. We hung out with up to 6 other guests during our stay and had a smashing time together. The reef is amazing, the people are amazing. My one practical advice would be to try and find your own transport to Kri once you arrive at the port in Waisai, as Dedy only has one boat and pick up can sometimes be a problem. Overall, manage your expectations and you’ll have an experience unlike anything else! I apologize for many inconveniences during your stay with us. I was absence from Lumba lumba for two events with the government. One is called Sosialisasi Bimbingan Teknis Informasi Teknologi in Labuan Bajo, NTT and the other one is China International Travelmart 2017 in Kunming, China. I was not in Lumba lumba for about 2 months for preparing everything regarding the events. I will back on the November 23th, 2017. I read alot of bad comments, I did ask my staff to put attention at what guest need and inform them to clean and to serve guest as what Lumba lumba ussually does. I trully apologize for so many inconvenience that happens to our guests. I would not recommend to stay at Lumba Lumba. We were lied to about our reservation (or in best case very badly informed). After confirmation of our reservation (requesting a 25% pre-payment) we got informed in Wasai that the pick-up will not work and we have to find another solution (which is fine, no problem). But one hour later we learned that the place is not even open to receive guests and we have to find an alternative home stay for that night, but could move to Lumba Lumba the day. That status got updated the next day, saying that Lumba Lumba will not be open for at least the next following 4 days. If the place is closed, no problem, but be clear to the guests. We found a great alternative home stay (Warahnus, right next to Lumba Lumba), which was the best that could happen to us. Surprisingly, after a week or so we got visitors from Lumba Lumba. So, apparently it was open again, but these guests came over to Warahnus over 3 days for breakfast, lunch and dinner, because no food was offered at Lumba Lumba. Cook was out of town. Thank you for your comment. You are lucky since you did not pay anything in advance. We pick guests based on their request and you have said in one of your email that you will try to find a boat to Kri on your own. Yes, we paid Warahnus homestay for cooking for our guests, but when we have our cooker back. My apology for you and family. I was away and could not do anything to host you. I have ask my staff, but it could not work, so I phoned Warahnus homestay to prepare a room for you and family. I can only underline what Sara wrote a couple of days before. There is no planning and no informations were given to Joshua or Willi according the bookings. This exclusevly does Deddy who hasn’t been seen there for weeks but writes as if he would be running the place. Joshua and Willi, both are gentle and nice people but they really don’t know what guests do expect. And after a while it is annoying to ask for milk or sugar or hot water for the coffee…. and: the whole homestay needs a renovation. Banks you cannot sit on, disgusting, broken floor in the toilet….and yes, all the garbage is in the bushes behind the kitchen or bungalows. Not even the Aluminium cans are seperated. One more thing: the generator runs the whole night although I asked to shut it down at 10 or 11 pm as everybody is asleep anyhow. So, in the first 2 Bungalows there are no silent tropical nights with bright stars. I stayed 3 nights at Lumba Lumba from the 31th oct 2017. I had no intention to dive there. Just relax and snorkel. Which I did and loved! We got picked up as promised in Waisai. A small boat in the afternoon. Definately not the best trip in my life. Jumpy due to the sea and the speed he tackled the waves with. Had a sore behind for a coulpe of days afterwards. No lifewests. Joshua is really nice. If you want toiletpaper, water refill or things to be cleaned ask him, and he will help you. Generally I have the feeling that people in RA don´t do things until they absolutely need to. That is just how it works there. Lumba Lumba is basic. The view is lovely. Unfortunately there is only one hammock in the dining area, would be great if there were atleast one more. The hammock in our guesthouse didn´t work and the chairs in plastic fell backwards if you sat in them, so we mostly hang out in the Dining area which is lovely. The reef is nice. Alot of fish, big and small, mostly close to the drop-off. Nice corals, some seagrass (please don´t walk on in, small stuff grow up there!). Gigant clams. No dolphins during our stay. The food as a vegetarian was not great, mostly rice, papaya and eggs. We got Tempeh one day which was superb. I did not see any rats at all during my stay. Now, Dedy wasn´t there. Welly seems to be running the place in his absence. He speaks poor English. Josuas is much better. I had a feeling that Welly is the one who controls the money. So when things run out, he needs to buy them. And things do run out. Mostly food. If other guest were diving, there were nobody there to go “shopping”, or no boat to do the shopping with. Which for us ment another lunch without eggs and only rice and papaya. Welly is not in control though. He can´t plan ahead, or he can´t communicate the things that will affect us beforehand, wich definately is a bit anoying. When we were leaving, he didn´t know we were leaving. He didn´t know for how long we had stayed. He didn´t know we had prepaid the 25%. And when he then calculated what we needed to pay with the information I provided him he wanted almost 1.000.000 IDR more than it was. This was not an issue, we paid the correct amount, once we calculated together. When it comes to garbage. They seem to put it all in the djungel. Even the cans. So things that is not good to burn, bring it with you home! With someone who can actually plan ahead for food, water and travells Lumba Lumba can be a great place. Summary: Basic. It is not a hotel. If you need something ask. Lovely view. Lovely reef. Things run out. But I enjoyed my stay there. Don´t go there if you expect things to be perfect. Actually, don´t go to RA if you do. The only thing that is, is the reefs. And they are worth every penny! I spent 9 nights in october in Lumba Lumba guesthouse, and it was the first time that I counted the days to leave, what never happened in any holiday before. I was picked up like planed, which was extraordinary because other guests were forgotten to pick up and had to arrange the transport to LL on their own. 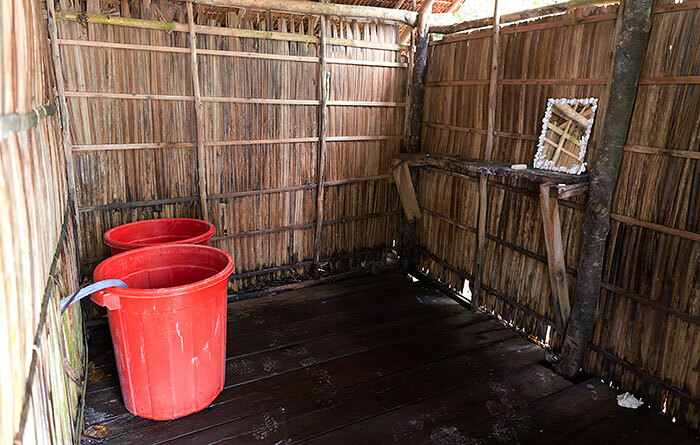 My hut was clean and prepared when I arrived – the other guests were not that lucky to have a hut ready to move in. Within the nine nights nothing was cleaned. Not the overflowing dustbin with used toiletpaper, not the huts, not the dustbin in the restaurant – only when the dogs had knocked it over to search for food. After three days I had to force the employee to empty the toiletdustbin, otherwise it would not have been emptied. If hot and cold drinkingwater was empty, we had to ask for it, it was not refilled by the staff without asking. 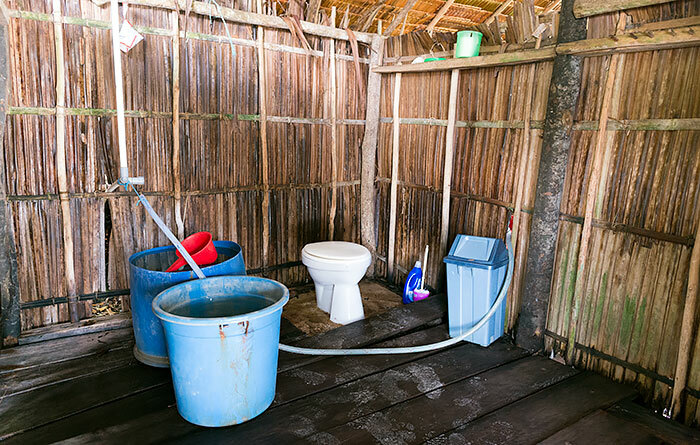 When the waterbuckets in the toilets and shower were empty, we had to tell them – they never checked it on their own. I had no light in my hut for 3 days. What breakes or falls apart seems not to be repaired anymore.The more we asked for something the less friendly was the employee.They run out of supplies every 2nd day – either cookingoil, or petrol or toiletpaper was finished. I had rats in my bungalow despite I hung up my snacks very carefully (last year I was in a guesthouse on the other side of Kri Island and there were no rats at all) But these were only minor problems. The real problem was, that the owner is not interested in the needs of his guests. I planned to do 16 dives with lumba lumba and I only was able to do 5 because planning and organisation was nearly nonexistent. He didn’t even talk to us. When we expected to leave for diving/snorkeling in the morning, nobody showed up. When Willy, the younger brother was around, we only got the answer „Dedy is sleeping/Dedy isn’t onsite“. But he easily spoke to us when we should pay a part of the total bill. When we asked him to inform us beforehand if diving/snorkeling is not possible, he promised to talk to us, but the next day it was the same. After 5 more or less spoiled days we forced him to organise an other divemaster and then – finally – he called an other divecenter to pick us up for diving/snorkeling (it was wobbegong-divecenter and diving with them was professional and great fun). Unfortunately I was taken in by the good reviews on this site and on tripadvisor. I do not expect that everything is 100% perfect. But I expect that people who run a guesthouse and divecenter do their best for the money they earn. In LumbaLumba I have the impression that they expect earning money without working. What a pity – it is such a beautyful place. We arrived at Lumba Lumba to a very warm welcome from Joshua, who speaks good English, has a warm smile and is incredibly helpful. He was looking after the homestay by himself, caring for 6 guests when we were there in late October. The owner, Dedy, was away. Joshua was surprised to see us arrive as he said he had no knowledge of our booking, despite us booking by email with Dedy last January and paying 25% deposit by PayPal. This also happened to another couple who arrived the next day. However, the bungalows were not in use so Joshua was able to get them ready for us and then cooked a great lunch. There are 4 bungalows, the over water one is on quite a lean, but stable, we elected to stay in one of the on beach ones which are mostly over water at high tide. 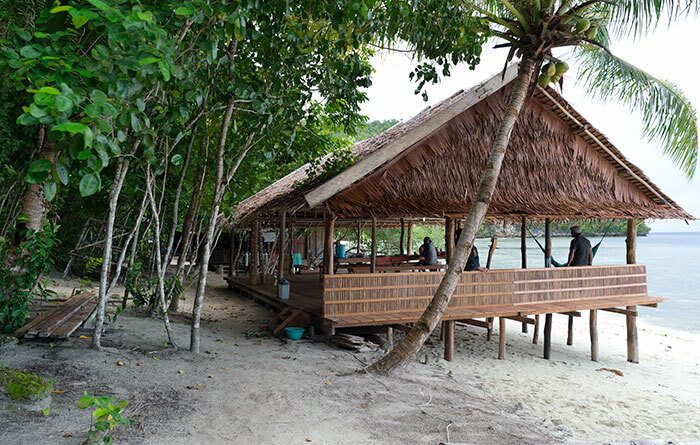 The great assets at Lumba Lumba are Joshua, as mentioned, and Willy the dive and snorkelling guide, the large dining area with wooden floor and big table and hammocks looking out to sea, and the reef which although a little bland in coral, but supports a large diversity of fish. We didn’t see the dolphins, but saw black tipped sharks, turtles, families of huge bump head parrot fish and so many other fish of all sizes. Willy also took us to some fantastic snorkel sites including the south side of Kri and Sauwanderek jetty. The food was excellent, all cooked expertly by Joshua, who also prepared fresh coconut juice. However, the are a few areas for improvement, the bungalows are all looking a little tired so could do with some refurbishment and a clean up, we had to ask a few times for rubbish to be cleaned up from the dining area and the entire site including the meals preparation area is overdue for a good clean up. We were also asked to pay for a nights accomodation in cash in advance on the 2nd day so that Joshua and Willy could buy food and fuel for the boat, it appears the owner does little to provide for the staff while he’s not around. A great place to spend a few days, they have their own boat so transfers are easily arranged, but make sure when booking that Dedy confirms with you and that he has informed the staff. I stayed at Lumba Lumba from 6 till 15 October 2017. The house reef at Lumba Lumba is nice. You can see coral and many different small and big fishes, turtles and sharks. At the diving spots we went, was also a lot of fish and a lot of different kinds. The coral was less and more damaged than I have seen around Batanta Island. The visibility was not always good and at some spots their is a serious current or just too deep for (good) snorkelling. They would pick me up from Birie Island (near Batanta) at 10 am but nobody came. After waiting for a long time I asked the owner of the homestay there to bring me to Kri, but I had to wait till 17.20 before he could bring me to Lumba Lumba. So it was already dark when I arrived. Again I had to wait because my hut was not ready yet. They would start making it ready at 19.30, after preparing dinner. I said that I did not like it at all: first waiting for transport that did not come and now because my hut was not ready yet. Dedy (the owner) took it serious and prepared my hut himself. Later I saw that huts were always prepared after arriving of new guests. 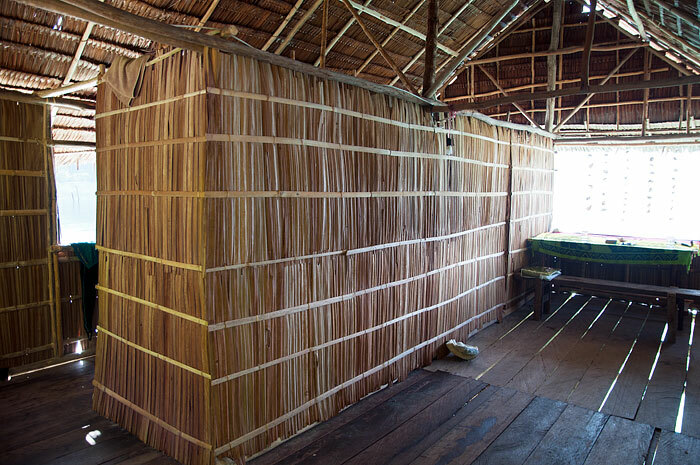 Then they start changing the bed sheets and towels, even if the hut has been unoccupied for many days. Besides that, the light was defect in my hut, which was repaired the same night. On Saterday they did not make a snorkling trip because they went with one diver to a diving spot that was not good for snorkling. On Sunday they do not dive at all, which is quite common in Papoea. On Monday we would have two dives in the morning but Dedy just did not appair. We asked the others were he was and they said that he was in the village. Around midday he arrived and we (a German tourist and I) took the initiative for a serious conversation with Dedy. We would have two dives in the afternoon and the other days of our stay two dives in the morning and he should communicate well. Dedy also apologized for not taking me from Birie Island at 6 October and said that I could move to another accommodation despite my reservation for 10 days. The reason that I stayed, was that I had hope that things would go better and that I liked the house reef and the quietness of the place. That afternoon at 13.30 we went diving without having lunch, which was usually at 12.30. We got lunch after the dive, after 15.00. We wondered whether we had a very late lunch because of diving or we went diving because there was no lunch yet. On Tuesday and Wednesday we had two dives, but on Thursday Dedy did not show up again. We asked the others and first they said that he was still sleeping and we asked them to wake him up. Later they told us that he was ill. Again we were just waiting; there was no communication from their side. All the initiative had to come from us and we asked for another dive master, because we wanted to dive as agreed. That afternoon we made arrangements with another dive centre for the coming days. That was a very well organized diving centre from the other side of Kri. They picked us up in time, gave briefings before every dive etc.. It was a relief to us. We had to ask several times for drinking water and hot water for coffee and tea. We always had to ask for toilet paper and for emphying the trash can in the toilet room. They never did it at their own initiative during my stay. The first days the man who was doing (almost) all the housekeeping appeared to be very friendly and spontaneous, but later he hardly said Hello or something when he put the food on the table and did not say anything when we (an American couple, a German tourist and I) left, which was so illustrative for his attitude during the last 5 days. I had tried to ask/talk about it with him, but it is still a mystery why he changed his attitude towards all of us. In general it is a mystery to me that/how this guesthouse has been managed well in the past, according to former reviews and Lonely Planet. We stayed Lumba Lumba for 3 nights. We were picked up at the ferry by Willie our skipper and on arrival we were greated by Joshua who showed us to our bungalow and advised us the time he for breakfast lunch and dinner. Dedy unfortunately was not there, he was unwell. We came here for the Diving, dedy was the diving instructor and we had to find some someone else to go diving with. The food was delicious and always cooked to schedule. The reef isabsolutely amazing, we came jacross tip jreef sharks, turtles and lots of amazing tropical fish. We enjoyed our stay however Lumba Lumba just needs a bit of TLC. I give this a 3 star not a 1 star. Thank you Jamie Marie for your comment and input for us. We appreciated it. I have sent you an email. Could you please update me if you will be at Lumba Lumba on Sunday (12-11) until and including Thursday (16-11) to guide us with diving (or that you will be abroad for business)? I will away from Nov 13 to 20. There will be a dive guide in Lumba lumba during my absence. Be careful do not trust this guy Mr Dedy Mayor. I have exchanged with him several emails he confirmed our booking for 2 bungalows during 6 days from 11th of october. When we showed up on 11th there were no bungalows! Finally we went to another homestay Mangkur Kodong that we did not regret. Wonderful sandy beach, wonderful snorkelling and Raimon organised dive tours for my husband. Safe diving with new equipment and good speedboat. Moreover we did not see any rats whereas I have heard that it is infested in Lumba Lumba!! Every guest who booked with us paid the 25% of the total accommodation price which you have not. In your email, you have said that you will secure your booking after you set the dates. We did not any information from you after several weeks. We sent an email to ask and did not any reply, so we have to receive other guest. If you secure your booking by pay the deposit, there will be room from you. We ask deposit from the guest to make sure that the guest is coming. Anyway, Thank you for your comment. We stayed 5 nights at Lumba Luba. Unfortunately Lumba Lumba is not well organized. It began with our Pickup from Wasai. After we arrived in Waisai, noone was there to pick us up. We texted the owner if they are still coming to pick us up and he said yes, he’ll be there in 20 minutes. After one hour of waiting there was still nobody and he was not answering our texts and calls anymore. 90 min later we decided to go with another boat to the homestay. I just don’t understand why Dedy gives us wrong information and lying about this. It’s not nice for a guest waiting for hours worrying about this when you travelled almost 24 hours before. When we arrived at the homestay, there was no electricity at night and no candles. The next day nearly all water was gone because the pumps need electricity as well. After many complains from us and other guests they went to the village and bought a new generator. In comparison to other homestays, Lumba Lumba definitely needs a little renovation. 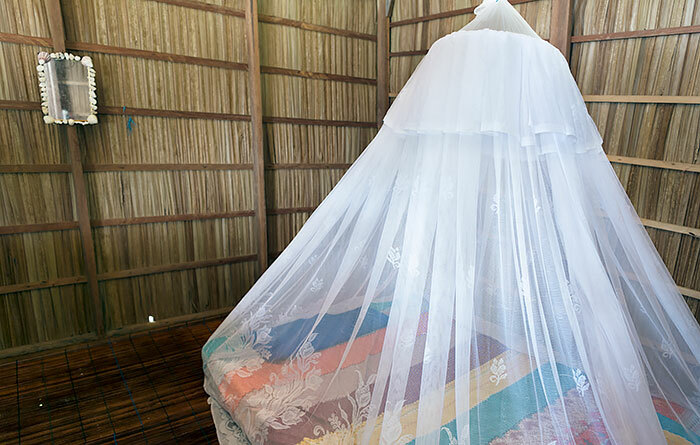 The mosquito nets have holes in it and are hanging so low that you basically have it in your face while sleeping. Thats very uncomfortable. Also the bathroom was not well maintenanced. I had to ask twice to fill up water for the toilet and also toiletpaper was often missing. Trash bins weren’t cleaned for days. Sometimes the dogs knock over the trash bins in the dining area because no one empties the trash bins regularly. But we also made some positive impressions of Lumba. First of all I want to mention Joshua. He is the new assistant of Dede (owner). Since Dede was only around on the last day, Joshua was taking care of the homestay alone. He really tried his best to make our stay as positive as possible. He is a really nice person, who was always smiling :). He was the one preparing all of our meals and they were all delicious. Sometimes it was a bit weird because the ran out of petrol or food and asked us to pay some nights. Basically thats no problem but normally the owner should manage it to provide his staff with the resources they need in advance for taking care of the guests. All in all we liked our stay at Lumba and we hope they use this feedback to improve. I guess there was a time when everything was in better shape and better organized. Thank you for your feedback. I apologize for late pick up in Waisai. The day you arrive, I was not in Lumba lumba. I was very busy on September to apply for passport since the government has asked me to join a travel mart in China on November. I asked my staff to pick you up in Waisai and they said they will arrive in 20 minutes in Waisai. I passed the information about the time to the staff at the tourist information. I apologize since it did not go well. We ussually put attention to everything, but no worker at this time and I have tried to find somwbody else to replace other staff place, but it was difficult since many people went to visit other place as a part of religious activity. Again, I apologize. I have not received any text message from you about the missing swimming pants. After read your comment, I went to Joshua and Welly and ask them, but they (I also) have not seen it around. We still have some stuff that have left by guests such as Entrance Pin, fins, Kobo (electronic book) and keep it save. If we found your swimming pants, we will let you know. Thank you for your possitive feedback about Lumba lumba. I would like to ask if you have paid or not. I ask Welli and Joshua, but nobody know if you have made payment. I ask this since I did not receive any payment from you. of course we have paid for all 5 nights. Welli asked me to pay for one night because he needed the money for petrol. I said to him that I will give him the money for all nights, so he has enough money for food, petrol and so on. Because I wanted to avoid a situation like now I asked Joshua to come and watch me giving Welli all the money. So for sure he received the full amount. I think Welly remembers if he gets so much money? Thank you very much for this important information. Now I knew that Welly the one who received all payment from you and the other guests. We stayed 6 nights at Lumba Lumba. Pros: Stunning location, basic but clean accomodation, good food, fantastic snorkeling spots very close. Cons: While Dedy is an excellent and experienced guide once under water, if you want to scuba dive I’d suggest you go elsewhere. Equipment was in very poor and unsafe condition. I has handed two masks with tears in straps (a small tug made it snap, which would have been a major issue at 30m), a BSD with a dislodged hose connection, and a depth gauge that indicated 12m when i was actually at 25m. Dedy had no whistle or flags, which became an issue when we drifted within a few metes of a downward current after being unable to attract the attention of the captain – busy bailing water and not looking out for us. Luckily I can whistle very loudly and we were picked up just in time. All safety concerns were responded to with ‘no problem’. We’re not fussy, but this was pretty unacceptable. On our final day we planned a full day of diving after safety issues were resolved but our instructor was heavily intoxicated in the morning and all flippers had been passed onto another resort. Thank you for your input for our diving services. We are apologize for our guide Lisias who could not bring you for diving on your last day. I trusted him to guide you since I have to bring my family for medical check up, but he did not. We will put more attention in our diving services regarding gear and safety. My name is Sandrine Laborderie and we have booked several nigths in october (3 people). I have sent emails but I did not receive any answer. My husband would like to dive, he is level 3 and would like to make 5-6 dives. First could you please confirm that you can arrange dives for my husband plus snorkelling trips for me and my friend? Moreover I have read that your equipment was new but this customer seems to say the contrary, we trust you but safety is very important (a lot of current). Many thanks Dedy and see you soon! Me and my husband stayed there on 24th-27th July. We chose Lumba Lumba because we wanted a quiet hideaway on a nice beach far from crowd/other tourist and I got exactly that. The white sandy beach and the turquoise water was exactly as in the picture and we had a nice stay there. The snorkelling site in front of Lumba-Lumba/Warahnus also the prettiest we’ve seen, we just hoped we had more time on the island to do more snorkeling activities on the other part of the island. We enjoy watching black tip shark and little fishes pass by our hut every morning, on a night on a bright sky we could see millions of stars and i just enjoyed star gazing on our hammock in our balcony. Just the perfect place for a relaxing getaway, far from the city life. Dedy was also very kind to arrange our trip. we feel bad for the unfortunate event that happened to him, but he try his best to accommodate his guests needs. The food was nice and Dedy’s family was helpful when he’s not around and one of them told us the way to hike up Pulau Kri’s peak for a beautiful view of the island. Overall we had a good stay in Lumba Lumba and we would definitely recommend it to others. I am planning to go Raja ampat next summer (July 2018) I wonder about the weather conditions during your staying, we are a family with the idea of snorkeling and some land excursion. (great success) as I came with my wife and my two daughters 13 and 15 years and they are novices in diving, we did a lot of diving and Dedy was all the time pending of my wife and my daughters and we had no problem. The whole family loved Lumba Lumba and we return. Thanks, Dady, we’ll see you soon. At first I wanted to stay in another Homestay on Kri Island. But i didn´t liked the other Homestay. So I decided to change to Lumba Lumba. And it was like coming to paradise. All bungalows are on the water and have a balcony with a hammock. So you have a wonderful view to the bay while relaxing in your hammock. My bungalow itself was very clean and spacious. There is a shared toilette and shower wich are also clean. There is no flushing water for it, but it´s okay. You are living in paradise ;-) The food was amazing. It´s so delicious and varied. For every meal you get fresh fruits. Dedy and his family were very helpful. The dive trips were amazing. You can tell your wishes to Dedy and he makes them happen, if the conditions are good enough. You can see so beautiful things underwater. The reefs and the corals are in very good conditions. We also made a daytrip to the viewpoint of Pianemo. Eveything was well organized. I enjoyed my time in Lumba Lumba very much. Thank you Dedy & family! We would like to visit your homestay from August 13th until August 19th. On the website I read that “Lumba Lumba will be closed for a break between August 10 and 31, 2017. You can’t stay there during that time, but if there’s 2 or more of you, you can still visit and dive with them”. It is not clear to me if you are still welcoming guests in this period or not. We travel as a couple, does this mean that staying at your resort is possible in this period? It’s not possible to stay at Lumba Lumba between August 10 and August 31. Thank you for your updates, that sounds good! Is Lumba Lumba also a good place for snorkeling? Would arrival/pick-up on a Sunday be possible? Sunday pickups are possible, but it’s considerate to avoid booking arrivals and departures on Sundays if you can, as Sundays are church and family days for homestay families. I tried to email you several times but it seems like you could not reply easely. We would like to know if our reservation is still ok ( ID : ID 10394 ) . We are arriving the 13.07.2017 in wasai by the boat of 14H. Is it possible for you to pick us up ? We would stay untill the 18.07.2017. We would like to do snorkling excursions everyday at different spots, is it possible for you to organise that everyday ? Can we choose with you the spots were we want to go once we arrive ? Do you stay with us during the snokling excution and show us the fishes or do you only take us to the snorkling spot ? Can we pay by cash once we arrive ? We dont have any food restrictions. In case Dedy can not reply to this, we’d just like to let you know that your booking 10394 is indeed confirmed as requested. You asked for a Waisai pickup when you made the booking, so Lumba Lumba will have someone there to meet you. As noted in your booking confirmation email, it’s best to SMS your homestay to let them know which ferry you will be on. Your booking ia confirmed. Please send us email to our email address to set your stay with us. Thank you for your comments. I apologize for not being able to bring you and the other guests to dive and snorkeling late afternoon on Saturday. It is difficult for us to work on that day since we have to go to weekly church meeting and on that day I have family meeting. And we just finished 8 hours birdwatching trip and jelly fish snorkeling that started at 5am, so I think I have to find someone else to bring you for excursion which i could not. And thank you for making payment in last few minutes before you leave to Waisai. It seemed like you will not pay if my wife did not come and asked you to pay when you were about to step in to the boat. We stayed with Dedy and his family in February and had an incredible time. The homestay is in a really gorgeous location and the house reef is full of life – you can spot reef sharks and sting rays from the shore. The bungalows are beautiful and clean, and the food was delicious. The guesthouse has a great dive centre – with new equipment. I would advise taking your own snorkel and fins to easily access the nearby reefs. The diving in Raja Ampat is absolutely incredible – but be prepared for strong currents. Dedy knows the sites well and ensures that there are enough dive masters to cover the group. We had a truly fantastic time and would recommend to anyone. I would really appreciate a reply to the emails I have sent you attempting to confirm my booking from December 9 – December 30 (22 nights). As soon as I hear back from you, I will Pay the 25% Booking Deposit. I have recently tried emailing, texting, Facebook messaging and posting on your own website without response. If you are unable to accommodate me, please just let me know and I can look to book a different homestay. We have received your booking through the Stay Raja Ampat booking request. We also have replied your emai tons of time, but it did not go through. Please come and see you on December. Thank you Anya and Sarah for your nice comments. Wish you all the best. We stayed 7 days at Lumba Lumba and only have one word for it: Fantastic! – Accomodation: The homestay is located at a beautiful, quiet part of the island. The house reef is very interesting: we saw turtles, reef sharks, eagle rays and too many fish to name. The bungalows are clean and spatious and all have a balcony with an extraordinary view on the bay and the sea and with hammocks!! As there is 15m between all bungalows, the balcony is a guarantee for private (high) quality time. In the middel of our stay we got fresh towels and fresh sheets. – Food: Thank you Ribka! The food was just great. Every day, every meal again. Chicken, fish, tofu, eggs, … Always with vegetables as a side and fresh fruit for dessert. There was also plenty of everything! – Diving: I did 14 dives with Dedy and all of them were very good. Dedy asked every day what I wanted to see or which dive sites I liked to visit and he planned the trips accordingly. When the other guests had some specific demands, he even arranged two boats with different guides. I did dives with Dedy and Addy as dive guides and both them are responsible, know the sites very well and showed me the amazing underwater world of Raja Ampat, from the oceanic manta to the small pygmee seahorse. I always felt safe, something I cannot say of the dive I did during a trip with another homestay. – Snorkeling: Marie didn’t dive but could snorkel on the housereef. She also joined us a few times to dive sites where she snorkeled: perfect! Thank you so much Dedy and Ribka for this week we will never forget!! 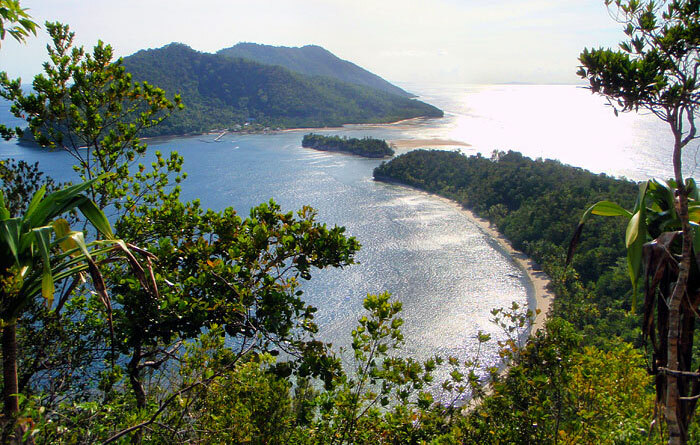 Plus: secluded and beautiful, wild, great reef for snorkel. I apologize for the inconvenience during your stay with us. I went to Waisai early in the morning for joining the Raja Ampat youth congress, so I have no chance to talk to you since you were sleeping. We are happy to bring you for tours, but since you stayed for 2 nights and enjoy relaxing and snorkeling at the house reef, so I do not want to bother you with question of trips. I have offerred you for snorkeling or diving trips when you just arrived and you said you will decide later. My staff could not transport you to the other homestay in Gam since you offerred very low price and you decided to hike to the other side to find a boat to Gam. I could not find the reason why the food tasted like gasoline fire since we cooked with kerosine stove and my staff said you enjoyed the food. Anyway, thank you very much much for your comment. We will pay more attention in preparing food for our guests. We tried to arrange 2 days of diving with Lumba Lumba. In both cases they did not show up in the morning to pick us up, did not call to cancel or say sorry.. seems not very responsible or caring. I apologize since the cancellation of your plan for diving is all my mistake. I made plan to dive on Friday and forgot that it was Good Friday. I am one of the elders in the church and has to be in the Good Friday service. I called the homestay you were staying to ask if you want to do dive after lunch, but got no answer. My wife said that when i was in the church you called later in the morning and said that you could go for diving after the service. My wife had apologized for the cancellation also. Later afternoon I called your homestay and they said you have booked other dive shop for diving. These cancellation is my false. I apologize for not be able to dive with you since these whole area is prohibited to do trips during the religious (christian) holiday. Andi and me stayed at Kri for 10 Days and we enjoyed every dive we did with Dedy – or mostly, because Dedy was busy in Waisai – with Onyx. Both know the see very well and we are still dreaming of the fabulous Manta Show we hat with Onyx!!! Thanks to everyone! All bungalows were reserved, so we stayed at Warahnus near by, no problem. We stayed at Lumba Lumba’s for 2 nights instead of 4 because after booking in January 10 days before the arrival they realized that they were full; they were kind offering us a solution and a free transfert to another home stay that they found for us, but communication with the owner of Lumba Lumba during our stay in Kri island wasn’t easy. The guesthouse is nice, a bit older compared with the other where we stayed, but everything went fine and that shore, where Lumba Lumba lies, is one of the best on Kri Island. They are not so organized as we expected, but it’s ok.
We apologize for not be able to afford you for three nights stayed with us. I was not there to manage pick up for you from Intum homestay and has asked my staff to do it. I went to Waisai to manage the diving gear and back to Lumba lumba and knew that you arrived on the 4th. Again, I apologize and thank you for your comment that really important for us in order to improve Lumba lumba guesthouse. Aaah we were back at lumbalumba! It is just wunderful to spend two weeks here in the marine paradise, in this nice homestay. The dives were great – and for the last good bye dive , just at the housereef- a scool of 21 mantas circuled around us. Snorkeling between lumbalumba and yenbuba jetty is always like floating in a rich underwaterdream. The little bay is still calm and quiet . . Please keep it that way. It is terrible and very sad to read , that on the day of our departure on 4. march a huge cruiseship rammed the reef of kri. What the heck are big ships doing so close to the reefs??? Who is controlling their routes and anchor places ? We are hoping the government could solve the issue of coral damage in the crossover. Thank you for the wonderful comment. We are a family of four (three adults and one kid) who stayed at L2 at the beginning of March. The booking process and PayPal payment went surprisingly smoothly then the communication stopped one day before our arrival. We found out that the agreed arrangement of all four of us sleeping in the overwater bungalow was not feasible but this was not too big of a deal for us. Dedy seems to be an honest if a but too relaxed guy after all. The food was good and plenty. The beach is nice at high tide but essentially not swimmable and during the low tide the seagrass is revealed. Oh, yes, you get baby sharks swimming in front of your bungalow at high tide, so lovely. There a lot of dogs at LumbaLumba, the young ones are cute but the big ones are not and can be annoying. Snorkelling/diving trip to Arborek and Manta sandy was top notch, Onyx being a reliable dive guide in Dedy’s absence. The access to and from another top snorkelling/diving site at Yenbuba pier is easy and the underwater life there is amazing as well. I did only one dive but the dive centre seems well equipped. I guess for the divers this is 5 stars, for my family who’s mainly snorkelers and given the few flaws above I’d give Lumba lumber 4 stars. Thank you very much for your comment. I think I wrote for you in email that we have only one overwater bungalow for three people and your friend will stay in the one of the beach bungalows. We are glad that you enjoy stay with us and enjoy the trips. Your comment is a big input for us to increase our service to our guests. Raja Ampat is one of the most astonishing places on earth I had the privilege to visit, a real paradise for me especially underwater. 7. they Always listen to anything you have to say or suggest, and always try to help you. the typical Indonesian homestays always need maintenance and care. Ribka and Dedy are really and constantly trying their best to improve Lumba Lumba and its diving centre. Thank you very much for staying with us for the second time. We are really glad that as an instructor and experienced diver you always share your thoughts and experience in diving. We are waiting for you to come back mid November this year. Sitting here in the middle of cold grey winter mountains, it´s getting dark half four in the afternoon and the only fish around is deep frozen in the supermarket. What a contrast to the vibrant rememberings to our wonderful time in lumba-lumba two months ago! How unbeatable beautiful to wake up by the sound of the gentle waves beneath your basic bamboo overwater bungalow and the first thing you see are dolphins jumping in front of you. two steps from the balcony inside the turquoise clear water and some finstrokes later you are welcomed by two huge giant clams at the spectacular dropoff coral reef accompanied by blacktip sharks and turtles. What a pleasure how much the friendly- & heartfulness of Ribka and Dedy let us feel home there. What we enjoyed day by day was also the creative variety of delicious food. Also thumbs up for the all time helpful support of Jonas from driving the boat save through heavy sea to searching for pisang and guiding us through the jungle and last but not least driving round the island in the middle of the night for some bintang! And it was a privilege to explore the breathtaking underwater-world with Dedy as a very experienced personal divemaster by my side. Big respect to these wonderful people and this jewel of nature! Whoever goes there, take care for this special spot on this globe. Thank you for staying with us. We are glad to had such a nice couple as you both. Thank you for sharing many beautiful stories and good information. Very nice place and reef. It’s great that you can do some activities by yourn own without having to go by boat. We went for a short hike to the viewpoint and also swam to the jetty in yenbesser (nice corals and big fish). I planned to stay in Lumba Lumba Guesthouse for 3 days and finally stayed 5, and because I had to start my back home trip, otherwise I still would be there :). Dedy and his wife have been really great hosts. I was worried that being a solo traveler would mean a problem regarding diving, snorkel trips…, but Dedy made his best at all times to help me make my stay there an awesome experience. He had no problem to go on diving just the two of us. Dudy showed to me best diving spots all around (Blue Magic, Cape Kiri, Sardine Reef…), I can not say which was better; all of them were really amazing. Food was great and really varied (Rice, soup, vegetables, meat, fish, eggs, fruit, tea, coffee…). Ribka (Dedy’s wife) is such a good chef. I stayed in a non-overwater bungalow, which was simple but traditional as it is suposed to be, and really comfortable. It had also a hammock and a front sea terrace. I have to say that I spent some time having some drinks in the overwater bungalow terrace, and views there were just STUNNING! Thank you Dedy. I definetly recommend Lumba Lumba Guesthouse to anyone who fancies having a great time in Raja Ampat. We stayed in Lumba Lumba guesthouse for 4 nights end of oktober and had a great time! De rooms are basic but in good shape, the food is really good and variet. Dedy and Ribka try to make us to feel home and that is how we feel. The housereef is great for snorkeling, we saw shark, turtle and many great corel, and on our own platform near our hut saw we babysharks and walking shark! We spent two months, February-March, at Lumba Lumba GH. It was our best holidays ever. We felt there like at home, with family. Accommodation is simply beautiful. 4 bungalows are with verandah, just one is over water. Between bungalows is around 15 m distance, so you don’t look to the neighbor’s window. That we really appreciated. Food was excellent, of course most of the time you have choice – fish or chicken, but Ribka (wife of owner Dedy) cooked in many ways and styles, so every day was different taste, many other side dishes were served (salads, corn pancakes, rolls etc.) and fruit. Snorchling before bungalows at homereef is just amazing. When you go to the right, you never miss black tip sharks, sometimes less, sometimes more, many sizes, but ALWAYS!! Also turtles, I thing they live there all the time on this reef. One time we saw Eagleray. And of course thousands and thousands many colours other beautiful fishes! Baracudas, cuttlefishes, group of pumbheads, unicorn fishes, …. Diving. The wetsuit you have to have your own. The best way is when you have your own equipment. Because Dedy don’t have many BCDs and regulators. If you don’t have your own, just ask them for that. They can manage for you. We loved that we were diving just in small groups, just 2 of us or 4 people with Dedy (divemaster). That was our second visit of Raja Ampat, second time at Lumba Lumba GH. And we definitely want go back again. Ribka and Dedy are very nice people, very kind. We are grateful that we could spent our holidays at their place. Accomodation in natural simple bungalows was calm and peaceful. Bungalows surrounded with amazing scenery of nature with everyday view on sunset. Probably the best on Kri and around. While walking on the beach we saw blacktip sharks (babies) and with carefull eyes also few stingrays and once even pufferfish. Even when just sitting on stairs of bungalow we saw walking shark. Snorchling was good, the reef is right in front of the bungalow so it is opssible to snorchle there every day, or even scubadive there. Few liveabord ships stopped there for a night. When speaking about organisation of scubadiving trips Dady – the owner took care about everything. I even prefer that every scubadiver shall prepare the stuff him/herself so that everyone is responsible for their stuff. If something is unclear before the dive, or you want to know more, I suggest just ask more. The food was very good often fish, chicke, rise, a lot of bananas, and some fruit even some cakes. In general the hospitality of family was very good they were very kind and Dady had good knowledge what/where is good and what/where not. PS: all these people were very polite. PS2: Person called Jerry was suppose to come and pick us up, and when we asked at the airport for Jerry all people knew immediately and mentioned that he could not come, but they took us and gave us a lift to port. simply wonderful. this was the most beautiful dive-holiday we’ve ever had. we are grateful to experience the rich marine life in this protected conservation area. what a treasure of biodiversity! and on the other hand we were peacefully nestled in Lumbalumba Homestay on the quiet sandy bay, embedded within the care of our hosts family. we made for our 12 days here a nice mix of divedays and lazy snorkel days. 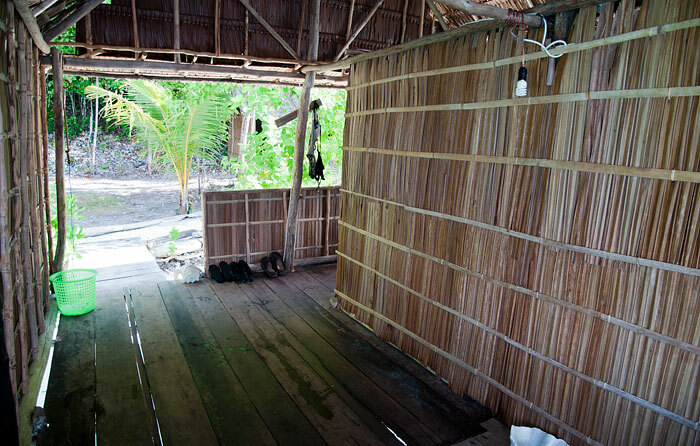 we liked very much the privacy in the simple and cozy palm leaf hut. Ribka, great cook with good english language skills, was always available for her guests and for her little children. Dedy, her husband, was our dive master. grown up here, he not only knows very well all the amazing divespots around, he is also perfectly familiar with the weather- and seaconditions in this area. so we entrusted ourselfs to him and always let him decide the timing and divespots to visit. his breefing and guiding where calm, careful and competent. through our hosts we learned also a bit about culture and life conditions of the people of the island here – now and in earlier times. on sunday the family goes to the protestant church to Yenbuba village, so no activities on sunday. it’s time to snorkel the house reef. thank you very much, ribka, dedy and crew – we will come again! We spent 8 beautiful days at Lumba Lumba. Food very always enough, and generally good. We had an awesome, relaxing time, and will surely be back. The other side of the island is full of homestays, but the one Lumba Lumba is located is almost empty, which we appreciated. The homestay is not run by german efficiency, so don’t expect a tight schedule, (one excursion got cancelled, because they forgot they have to go get new guests arriving in Waisai, so they couldn’t take us, for example) but the staff was very nice to us. We didn’t dive, only snorkeled, and we were very, very satisfied by the spots around. Turtles everywhere! I stayed at Lumba Lumba for a week in January and loved every second of it. I will definitely go back! At first I was a bit worried, being my first solo overseas trip as well as having read some of the recent reviews but that worry was evidently unnecessary because as soon as I arrived at Lumba Lumba, Dedy and his beautiful wife welcomed me and made sure everything was perfect. I adopted one of the puppies and by the end of my stay their daughter and son were my best friends! The food was amazing, the best I had in Raja Ampat. (I spent 2 weeks in Raja Ampat Dedy’s wife always made sure we had yummy food and lots of it. She clearly loves to cook because all the meals were made with love. My bungalow was also very clean and comfortable and the bathroom area was also clean with a separate toilet and the traditional Indonesian dip mandi style bath. I was in Raja Ampat purely for the diving, and diving is what I did. I think by the time I left, Dedy was glad to have me go because I hassled him daily for as many dives as possible to all the sites I wanted to see (I am joking, I am sure he would have loved me to stay another week and make him dive every day haha). Dedy went above and beyond with my diving experience. He took me to all the sites I wanted to see, he also took me to a few cool places for our surface intervals including this awesome sand bank I the middle of the islands! He also arranged for me to go to the Birds of Paradise and also the Jelly fish lake to swim and play with Jelly fish! Every dive Dedy briefed me and every dive he looked after me, even when my dive computer had a spaz and went into deco. I felt 100% safe the entire time, even when giant Mantas and sharks appeared! I also went on a few dives with Chriz and he was also great, he knew the sites and pointed out lots of cool things for me. What I liked most about diving with the guys at Lumba Lumba is that they really made it about what I wanted to do and see and take photos of. The more dives I did, the longer they lasted and I think we started averaging 60-70min dives by the end of my trip. The house beach is a bit seaweedy, but still beautiful a bit further up. I didn’t actually get a chance to do much snorkelling but was told by the other guests that the snorkelling was also pretty good. Walking down the beach you can see baby reef sharks and turtles swimming around! It’s pretty special. Overall I loved my time at Lumba Lumba and I didn’t want to leave. I will definitely go back and definitely encourage everyone to visit this beautiful place! Stayed there for fourteen nights in mid-Nov. Booking and advance payment via Paypal super-easy and uncomplicated. Pick-up at Sorong and Waisai worked well. (Had to wait 30 minutes at Waisai though, but it’s Raja Ampat time after all.) Ribka and Dede, the owners, and the staff in general very friendly. I was good taken care of. Food: excellent. Penyu bungalow a little bit small. No hammocks there at the time! Diving operation a bit an on-and-off-business. Had my own equipment. Dede, when diving with us a good dive-guide. Due to the fringe reef surrounding the island falling dry at low tide, there are problems here like in many places entering the water at that time. (Booties recommended, I had none.) Best snorkelling in the direction of Yenbuba. Had an unpleasant ‘red tide’ (red algae/plancton blossom) at the full moon of november. We’ve stayed here for 3 days and it was very great. They have a very great view right infront of the forth bungalows and the dining place. As they promised, we see the dolphins and a one or two black tip shark that milling about infront of the bungalow. We’re so lucky to have a moment for seeing a group of dolphins when we’re went back from Yenbuba Jetty for dive and snorkeling. You also could have a good view for underwater by diving or snorkeling infront of the guesthouse. It’s free if you bring your own equipment. The room was nice and quite clean. The staff were cleaned up the terrace everyday while we have to request if we want the inside room to be cleaned up too The bathroom and toilet are only one and we have to sharing but that’s not a problem. Unfortunately we found a rat that came to our room in the evening and stole our snacks. We should bring a rope, tie it between 2 poles or trees to hang the snacks. Or put your snacks/food in a box. The meals was great and it really tasty. The local chef was good and very accomodate to our requests as long as the food materials is available. If needed you could also bring your own raw food and ask them to cook it. We stayed in Lumba Lumba for 10 nights (23 June to 4 July) and we stayed in Raja Ampat for 3 weeks in total. At the beginning of our stay in LL, it was ok, but everything went downhill in all aspects. We were the only guests at LL for most of the time. The last 4 days another traveller (Adrien) arrived (see his review below). The first few days when we were the only guests there was a lot of food, the portions were big, and there was fruit. When Adrien joined us, the food was much less. Breakfast was quite the same everyday with plain pancakes or some cake. For lunch or dinner there was fish but not always. Food was ok, not the best. The last meals of our stay were the worst with us 3 guests dividing a plate of omelet in thirds so that each of us had at least something to eat. After the first few days, the staff said that there was no fruit or vegetables left. We had to cancel our dive one morning so that the staff could go to Waisai for groceries. When the staff returned, not much was purchased. We had the overwater bungalow. It is ok in size with a great view of the sea from the balcony. In June/July there is a lot of wind coming from the south and LL is located on the southern side of Kri island. There were large waves crashing on the beach and the poles of our bungalow. 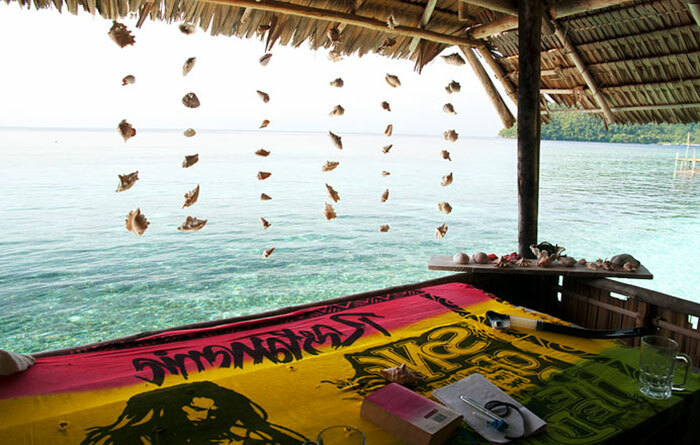 At night we would be woken up by the loud waves, especially if the tide was high. The bathroom and toilet was ok. Dip mandi style in one room and a separate room for the toilet. Electricity was from 6pm to maybe midnight. The restaurant and the overall look of the homestay was nice. We have logged about 100 dives each before coming to LL and we have our own gear. They have their own compressor and enough tanks for us to do 3 dives a day. Dive times were short because we would start our 5m safety stop at 70 bars or after 50 minutes. Our dive guide, Chris, was not an experienced diver. We also felt that our guide was not familiar with the diving conditions of different dive sites (eg. current direction, tide), where to go (sometimes it was his first time to the site), or to identify different marine creatures. There was also no emergency oxygen on site, many times there was no profiling plan or dive briefing, and we used our own dSMB to mark our ascent. We soon realized that some dives were challenging with much waves and current at this time of year but there are always some sites that are sheltered (eg. north side of Kri was sheltered from the southern wind). Most of all, we had issues with the boat captain who was very reluctant to take us anywhere. In the end we had to come up with suggestions for dive sites if we wanted to go anywhere. There was a lack of motivation from the staff to make our experience enjoyable, for example we could have had our surface interval at a nice beach. Surface intervals were rushed and a few times brought us close to decompression time on the next dive. Nevertheless, we were impressed with the dive site at the home reef and Yenbuba Jetty. Weeks before arriving, we emailed with Bonie. Everything went well: she spoke English, and answered all our questions about logistics and diving. To avoid carrying a tremendous pile of Rupiah for our entire stay, we agreed that we would pay by bank transfer before arriving. (This was our mistake and we would not do this in the future.) Bonie confirmed that the funds had been transferred to the bank account. On the 2nd night of our stay, the staff came to us that they need more money from us for gasoline. We showed them the confirmation that we already paid the full amount in advance. The staff say that they did not receive any money on site. We understand that gasoline in Raja Ampat is expensive but we could not understand that staff would make multiple round trips a day to the village with no apparent reason. Bonie and also not the owner, Dedy, do not regularly come to the homestay, making discussions chaotic. In the future, do not pay in advance. If we had not already paid in advance, we would have left LL much earlier. We also had to constantly tell staff to empty the trash from the toilet and our rooms, fill up the water for showering, change towels after 5 days, and get ready to go diving. The staff hardly speaks any English, but I could speak a little Bahasa which was very useful. Many times we would discuss and make agreements about where and when we would go but when the time came, the plans changed (eg. we were waiting around for a long time, or we were asked more for gasoline money). Lumba Lumba has lots of potential. They are located on the quiet side of Kri island and close to so many wonderful dive sites. However, the organization and lack of motivation from staff made our stay disappointing. Me and my wife stayed 4 nights at Lumba Lumba no march 2015. Before arrive in Lumba Lumba we stayed in other two homestays. We realize that all looks like the same in terms of food and accomodations. Here we found a food a little bit better. in Kri Island you may have a visit of some rats at night, but we think isn’t a big problem. The owner and staff are friendly people and the beach is very good. You can go around all the island from this homestay. Here a video we made from lumba lumba homestay and free dives around of.. Together with Gijs I stayed at the Lumba Lumba guesthouse for 7 nights. After reading the website we chose for this BASIC homestay. It met with our expectations. The diving with Dady was great. We saw beautiful dive sites with a lot of species of fish including blacktip sharks (not every site is suited for beginning divers). The food was delicious and enough (every meal we had left overs). Together with a german and Indonesian couple we had a lot of fun and pleasure. After carefully reading the website we chose for this basic homestay. It met with our expectations. The food was very nice and more than enough (we always had left overs). We enjoyed the 15 dives very much(a lot of different species of fish including blacktip sharks). Together with a german and a Indonesian couple we enjoyed our stay. We are an Italian married couple of 29 and 31 years and this end of Aug. we spent 5 days at Lumba Lumba and Raja Ampat left us speachless: the reefs are simply incredible! 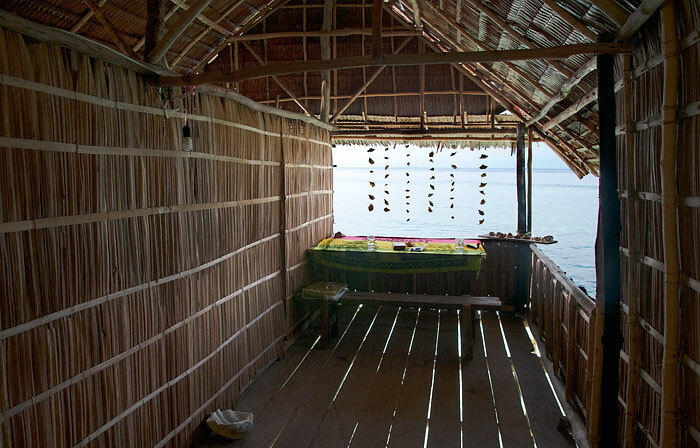 We decided to stay at Lumba Lumba for 2 reasons: it is in Little Manusar Island (one of the very best for snokeling as far as we know) and they have a website for booking (and they answer emails! we were organizing a trekking in the Baliem Valley and it was very difficult so we didn’t want the same for Raja!). The location is amazing but the quality of the service, considering that it is not that cheap for an homestay, really improvable. The bungalow was very clean with brand new sheets and mosquito nets but no one came for brushing the sand away and to clean our bin not even once in 5 days so we had a couple of “little” mice every night with us! Food is the same every day at every meal (exept for 2 breakfasts when we had cakes but probably because we were the only guests there!) and lacking in quantity. On the bright side the nature and the beach are beautiful and snorkeling amazing: we went with scuba divers almost every day. If you want to snorkel for 1h30/2hours ask Dady to leave you at the jetty on the island in front of L.L. and swim up to the guesthouse. It was one of our best experiences ever! The boss Dady is the only one speaking english and remember that Sunday is the DAY OFF so no excursions, small food and no one around! One important thing that we discover just when we were there (no one mention it on this web site or in other blogs) is that L.L. is located opposite to the sunset so at 5.30 it starts darkening fast (and you miss the beautiful Papuan sunsnet!) and in the morning the beach is not completely in the sun until 10.15/10.30. At the end of the day, we liked L.L. for its Robinson Crusoe atmosphere and we loved Raja so when we will come back we will stay in an other – more organized- structure. Just one last consideration: on the beach arrive bottles, garbage etc and one one collect them. Why? At L.L. are living 10/15 people and nobody collect them. Someone should do something! we did a 6 week diving trip through Indonesia. we really looked forward to raja ampat because everybody during our journey was telling us it is the best place on earth for diving. so i could ignore the fact staying at an overpriced homestay without any proper facilities. we booked a 4 night diving package with pick up service. we arrived at the airport, well our driver jerry not. we waited for 45 min. and decided to take a cab to the harbor. arriving in wasai – no boat to our homestay! we ask some local people how to get to lumba lumba and got a ride from another resort to our homestay! arriving at lumba lumba – no one was here welcoming us! we ask a couple staying there and they said thats the way it goes here at lumba lumba! no one cares about you. the ladies doing the cooking don´t speak any english and the owner dady (the only english speaking person) disappeared some days ago but should arrive today. for lunch we got plane rice with beans, for dinner plane rice with beans and some egg – the food is very poor! it wasn´t enough for the 8 people staying there. so everyone went to bed hungry. in the evening the owner arrived. a shady character. no apologize for the inconvenience! we had to pick up the dive guide in the village – he was late and as he appeared he went down the long jetty in such a relaxed way – didn´t care about us waiting for him. he jumped in the boat no hello – no briefing! we arrived at sardines reef. jumped in and after 5 min. went up – well our guide has no idea about currents and also is afraid diving with gentle current so we had to abandon our dive. taking a ride to the others side of the reef – less current we jumped in with only 160 bar left – the tank of one girl was leaking. unfortunately we didn´t go blue magic maybe there was some current or they just didn´t find the spot because it´s in the middle of the ozean. our guide had for sure NO LICENSE for diving! he had no idea about the currents, the reefs, the equipment and we all were better divers then him. he even chased a turtle and grapped it on it´s hindlegs! the diving was really horrible! and everyone was upset. one couple was afraid joining us for the second dive. they were unexperienced and were afraid diving with this shabby gear and the worst guide in the world! about the accomodation. a inconvenient mattress on the ground no blanket. dirty shared toilette. the shower is barrel filled with salty water – it makes really no sense taking a salty shower after diving! the food tastes not good and was all the time too little. during the night the rats run through your bungalow. the even gnawed a drybag from another couple. after 3 horrible nights everybody decided to leave this place. we had to check the bill one day in advanced because the owner urged us to pay because he needed money. well the bill was 6 MIO rhp too high!!!!! dady “forgot” that we already payed 150€ deposit and also calculated wrong. we gave him the money and he and some friends were drinking and partying the whole night through! so believe me DON´T GO THERE! we travel a lot through asia and this was the worst place i´ve ever been too! 50€ exorbitant expensive for living in a shabby hut with awful food! we decided to change to raja ampat dive resort managed by foreigners. it was double the price but it was really worth it! we had a wonderful last week of our 6 week journey! and the best diving in indonesia! Hello, I have just read your post and it has worried me! I am booked in at Lumba Lumba for 7 nights in January. I was assured by the booking agent for Lumba Lumba that the gear was good and the dive guide was good. there have been a few great reviews of lumber and a few scary reviews. I am travelling alone and do not want to be stuck hating my holiday – any advice on other homestay with better dive operations? Koranu should be o.k. – we went to raja ampat dive resort, managed by a Spanish/South American couple. They know all the home stays and told us lumba lumba is one of the worst and Koranu is fine for diving! I have the same concerns as I am booked for January as well! Was the snorkelling on the house reef good? That would compensate for a lot with us. Snorkelling on the house reef (and just around the corner near Pulau Ransiwor) is excellent Michelle! For good snorkeling you have to swim quite far if that is o.k for you (near the jetty from the village) we expected much more in the bay of lumba lumba. It is not that what they promise on the website! My husband and I had a wonderful stay at Lumba Lumba in July. Great wild atmosphere and best food ! Hi, I felt I had to add to the comment sent by Tomasso below. We stayed at Lumba Lumba for just over two weeks and had an fantastic time with no real problems at all. The dives we did were all amazing, and although the equipment was not new it all worked fine for us. I find if you don’t take your own equipment there is always a chance of malfunction, lets face it there is with your own stuff too. I don’t want to offend Tomasso with this reply, as he was a really nice guy, and I was sorry to see him have such a bad time, but we were on the boat with him when the tank I was using made a loud bang due to sand in the ‘O’ ring. To someone who has never experienced this before, I know it can be alarming and very loud, but it is a problem that is easily fixed and is far from life threatening. I felt I had to say this as I would hate people to think that Lumba Lumba are that bad. It’s true they are miles away from medical assistance and didn’t have oxygen on site (maybe it would be a good idea) but in the end as a diver you are responsible for your own choices, safety, and self rescue. The bungalows at Lumba Lumba are basic, beautiful and comfortable, the food is out of this world (especially if Acha is doing the cooking, she really looks after you), and the snorkling on the house reef is the best I have ever seen anywhere. We saw Eagle Rays, countless Blacktip Reef sharks, lots of Hawsbill Turtles, Great Barracuda, Moray Eels, and a school of twenty five, large, Bumphead Parrotfish, to name but a few. We even saw a pod of Dolphins swim across the bay on our first evening (from the balcony on our bungalow. We weren’t that lucky). Also, if Fruit Bats don’t freak you out, we discovered that if you leave bananas on your balcony railing at night, and you are quiet enough, they will come and grab them and fly away. Yahoo! All in all we had a brilliant time at Lumba Lumba and are planning on going again next year. I want to find the way back down from the viewpoint without getting lost and nearly losing what’s left of my mind, and my flip flops. Take heed fair traveller, from one who knows the demons which lurk up that accursed hill. Hey, Mr and Mrs Forsberg, glad you got home safely! Sorry, forgot to leave stars. Hi Wayne! We’re home and safe but are longing back for more diving. Hope you guys are well! Email me at Mattias.h.forsberg@gmail.com so that I can send you some movies and pictures from the dives. Have a really good close encounter video with the manta! Take care and stay in touch. Hi, I just want to give my view about lumba lumba since I read a few different reviews. Me and my wife just returned from our honeymoon where we spent 7 days at lumba lumba. It was by far the highlight of our trip, we booked the 12 dive package and was very satisfied. It is true that the dive guide Yosias speak very poor english, but underwater there were no confusions. On the other hand we’re both advanced divers and have done about 40 dive each, the guys who were there at the same time as us was dive masters with around 400 dives. You need to take care of yourself but yosias was very careful about us, we didn’t have any dive computer but he always made the safety stop with us and guided us thru the dives sites. The equipment was not brand new but i worked perfectly fine and no one out of the 6 divers who were there at the some time as us had any problem with the equipment. You need to bring your own fins and mask, they can arrange the rest. I guess what i try to say is that if you’re a diver thats not really confident taking a lot of responsibility under water you should probably try to stay at one of the moore expensive resorts, but if you are a bit experienced this is a really good and cheap alternativ. The food was really tasty do it was rice to almost every meal, but that didn’t bothered us since it was really well seasoned and you have to know that this is a locally owned home stay where you pay a fraction of the price compared to the resorts. Everybody from the staff was really friendly and tried to make our stay to be as special as possible. A special thumbs up for martin the boat driver, such a great guy! The house reef, beach and viewing point is amazing. my experience in Raja Ampat was really not as pleasant as i thought. Zumba Lumba homestay has a great facility, great food. on the other hand is not organised, left hours on was not knowing what to do, and not a safe place to dive with. the dive center has no equipment and is old and dangerous (ohe tank in the boat almost explode), the dive master is a simple guide which do not speak english and do not follow any safety procedure. i finished my oxygen during the dive and i had to go up alone, without him following me and giving me the oxygen. i rushed and when arrived up there was no boat. after a bit the dive master came up saw that there was no boat looked at me and said: sorry and went down again. after a wile the boat arrived but i started having leg pain. i asked of oxygen, and there was none. they had an empty bottle. it took a long time to explain that i need oxygen and i needed to be transfered to a dive center which had it. after one hour i get the chance to be transferred there and there was oxygen.. to make it short it took, the afternoon after the dive i got transferred to sorong, spent 4 days in hospital and finally had the chance to be transferred to australia to start the hyperbaric chamber therapy. what happened cannot be described in words but should have not happen.. diving was not safe, i have an open water certificate, was not the first dive of my life.. but i never thought something like this could have happened. next time you plan to go to raja ampat.. is better not to try what i have done and do not trust the dive center.. find a good resort which has the chance at least to provide oxygen, a satellite phone and which speak english. i am lucky to be able to write my story.. but was really though. Your experience is of enormous concern and it’s a great relief to hear there were no more serious consequences for you! Thank you for taking the time to post this story – it’s one that everybody considering diving in Raja Ampat (and all establishments offering diving) need to hear. Hundreds of people dive safely with homestays in Raja Ampat every year, but doing so is certainly not without risk. 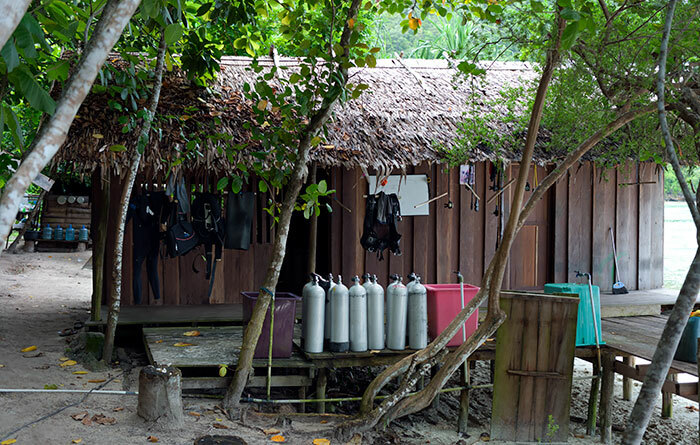 Our Diving with Raja Ampat Homestays page clearly describes these risks and advises that emergency oxygen is unavailable at most homestay dive centers. Choosing a responsible operator with well maintained equipment is essential. As is strict adherence to the buddy system. Consultation with other divers is highly recommended before choosing a homestay to dive with and the importance of thorough equipment checks prior to diving with any homestay cannot be overstated. Nobody should ever elect to dive using equipment they have reason to believe is poorly maintained or substandard. Doing so in Raja Ampat, where emergency medical treatment is a long way away and hyperbaric treatment unavailable, is madness. In your situation, where it sounds like there were failures in all aspects of the dive, it was fortunate indeed that there weren’t far more serious consequences. Thanks again for posting about it Tommaso – in addition to helping other website visitors considering diving in Raja Ampat, it will also be forwarded to the Raja Ampat Homestay Business Association and its members for further action. Having read the previous comments from Adrien, I was expecting the worst for my 6 night stay at LL. However, I think LL may have pulled their socks up or Adrien was being a little harsh – probably somewhere in between. After an overnight flight from Jakarta the transfer from Sorong airport was no problem, but I had a long wait for the ferry to Waisai. After the boat transfer from Waisai, I arrived at LL in the evening to a warm welcome. It was a long journey, but worth it. 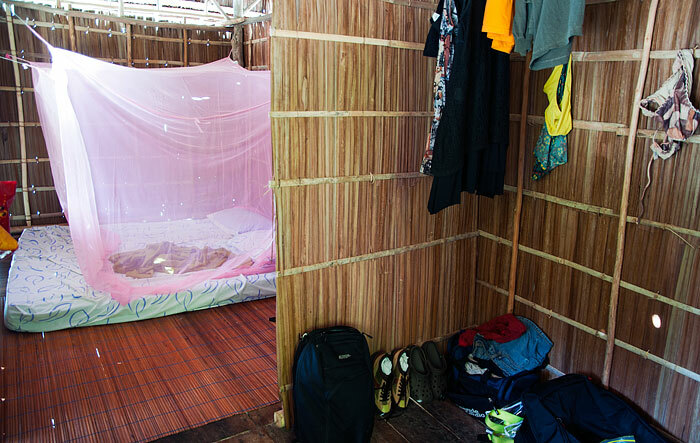 I was in the smallest bungalow, but it was fine – there was plenty of room and well (naturally) ventilated so there was no problem getting to sleep in the heat at night. It was great to hear the waves below you when the tide was in. The room was cleaned daily (and fresh water provided) and the sheets and towels were changed every other day. The beach was lovely and clean – the staff cleaned it every day. The snorkelling was great. The house reef was perhaps the best I visited on Kri. 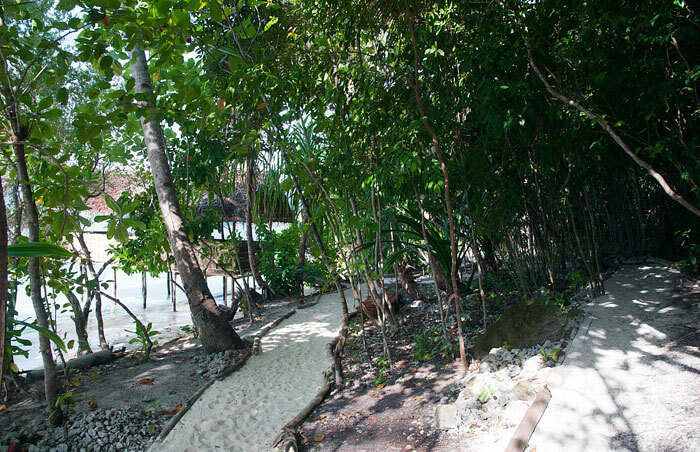 Even at low tide, you can follow a path (starts just outside the bathroom huts) through the coral to the drop off. The best snorkelling is to the right of this point. Very healthy coral and absolutely teeming with fish. Pretty much guaranteed to see sharks, turtles and big fish on every visit. Went out on snorkelling boat trips on most days too. The sites were never too far from LL and were all fantastic. If you get tired of the snorkelling (is that possible! ), at low tide you can walk south along the beach and round the point to explore the west side of the island which has a few more resorts and huge sand banks. The food was surprisingly good and lots of it! I don’t think I was served the same thing twice. Slightly strange meal times though – breakfast at 7, lunch at 11 and dinner at 18. Tea, coffee, fruit and cake were available in between those times. So in general, a fantastic, remote and peaceful place to stay, with world class snorkelling. Very friendly and welcoming hosts and everything you need for basic lifestyle living. Unfortunately I get the feeling this area will not be the same in a few years (due to development), so make the most of it whilst you still can. Tip – if you like a drink, bring it with you as there is no alcohol to buy anywhere. Just stayed at Lumba lumba for 4 nights. Well, loads of things to say. Indeed you’re the only one on the south coast of Kri (though new bungalows are being built 100m away from Lumba lumba). The view is quite nice, though I prefer the north coast facing waigeo & gam for the sunsets and the much quieter sea (at that time of the year the wind usually blows from the south). The beach is quite a mess, like quite every where R4 – pretty sad. Owners should clean their beach, though I know they’re not responsible for all this trash. Rooms are small (at least Penyu bungalow) but OK. I just don’t understand why they put such a small window in front of the sea instead of a large opening. The team never came to clean anything or to fill the jug of water they put on the first day. Would it be such a pain ? As a reminder, this is the most expensive homestay in R4 (unless you share with someone – price per bungalow, minimum 500 000 a night). I was so amazed…by the lack of effort they do here. How dare you serving fish only 3 times in 4 days when surrounded by water ? Most of lunches and dinners were made of a plate of vegetable, eggs, and plenty of….rice. In a word, quite pathetic, when you know how good indonesian food can be and when you compare with much more remote homestays. The last breakfast was just a joke : no plate, no glass, no fork, no spoon, just 6 pieces of cake for 3 guests. In the middle of the table. Speechless. Since the team went several times to Waisai during the stay, without bringing back almost anything each time, they have no excuse. They just don’t care. I was so fortunate to meet there another couple of guests, with luckily a woman speaking Bahasa (I would have probably left on the first day If I hadn’t). She helped us to try organizing dives, which was quite a fight everyday (do not expect any communication in English). Yes sometimes the sea was a bit rough, but there are many sheltered spots (and other diving centers like Yenkoranu went diving every day). I would not advise you to pay in advance, otherwise be prepared to fight to complete all your dives. Like for food, they just don’t care. Good point for Chris the dive guide, who is the most willing person of the team. Much more remote places in R4 (Beser bay for example) do MUCH better in every aspect, there is absolutely no reason Lumba lumba cannot. Maybe the owner Dedy, who was away at that time (Waisai I guess) should come to the island more often and motivate his team/family. After I read the testimonials given on this website about Lumba-Lumba, I decided to stay here from Apr 25 – May 2. And, i love everything about it. If i could come back to visit Raja Ampat again, i’ll definitely choose to stay here again. The arrangement was great. The communication that I had via emails and text message with Boni about my reservations and all the arrangements that required during my stay were really smooth and Boni could give me a very good feedback to make my stay even better then my initial plan. All was transparent and clear. Before I arrived there, Yerry, the pick up driver confirmed my arrival via phone, therefore I could see him on the airport also smoothly. when I arrived to waisai, Deni and Martin picked me up, and with some other guests, we went to Kri Island by boat. My stay in Lumba-Lumba was amazing. i love the guest house, it’s clean. and the view was breathtaking. It is the only guest house in the bay, so pretty much it was like you owned the entire beach. The house reef was amazing for both snorkling or diving. we could see many turtles, sharks, bumphead fishes, and other fishes, and various type of corals. On one morning, we saw dolphins when we had our breakfast! Amazing..
Ribka and Dedi, the owner, and the other staff were so responsive to our needs. They were kind and helpful. Thank you very much for an amazing week. I’ll definitely will go back to visit Raja Ampat again, and I’ll definitely will choose to stay in Lumba-Lumba again. I made my reservation in October 2014 for a stay in April 2015, throughout these months of waiting I have been in contact with Boni who answered all my questions without restriction. What of cooked dishes Lumba lumba, only that it is excellent. Thank you to everyone the wonderful time we spent. I wanted to thank all who made our holiday in January such a wonderful experience! We stayed in three different home stays on Kri and had very good but also very different experiences. Bearing in mind that we had extremely low expectations (we had heard of boring or insufficient food/very basic washing facilities/rats in the bungalows) before we arrived, these were totally surpassed while we were on the island. We also brought time and with it flexibility. Time is what you need as there is no such thing as rigid dive schedules and each day was amazing but generally not what someone might have attempted to plan. We didn’t mind. pros: amazing food in quantity and quality, very clean and well built bungalows & shower room, nice stretch of beach slightly further west/away from the larger/busier home stays. Flexibile regarding eating times. They put the food out & cover it up so everyone turns up as they like and you have the choice of eating as a group or independently. cons: little English but it really didn’t matter as the owner is super nice. No diving! pros: dream location, very secluded and no other home stay in sight. (We saw orcas cruising past the bay one morning during breakfast! ), very personal experience as initially we were diving in very small groups (2 people & guide) so felt very looked after. cons: credit cards weren’t accepted, the shower room was a bit grubby and it is the same room as the toilet. Two separate rooms would’ve been nicer. pros: best dive equipment and your best bet to get as much diving & excursions done in a small amount of time. Partly because they are slightly better organised, have two (or 3?) boats but also because it is a larger home stay and the more people the more likely it is to fill a boat (and reduce prices) for excursions. 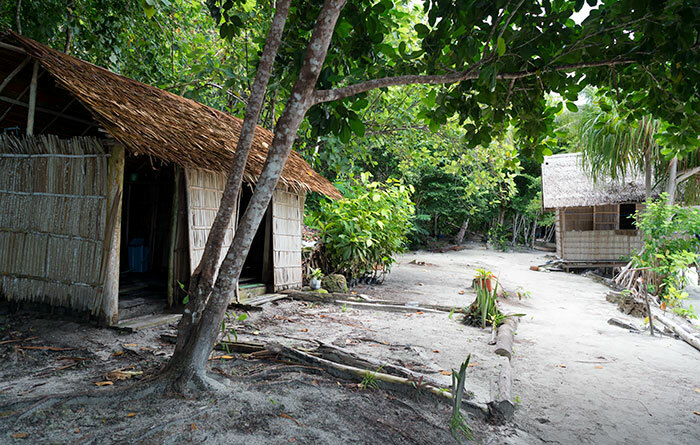 If we were to go back it would be to lumba lumba because that is where we found true secluded paradise. Thank you so much again to all the lovely people on the island! 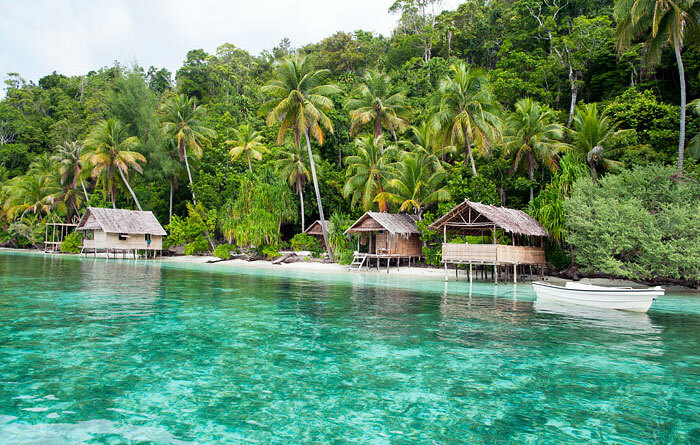 I am planning a trip to Raja Ampat and planning to stay at Lumba Lumba! The reviews look amazing and the honestly looks beautiful! I was just wondering how you found the diving equipment and dives at Lumba Lumba? I’m not an extremely experienced diver (only 40 dives & completed up to Padi rescue & nitrox). I am planning to stay 4 nights on Gam, followed by 7 on Kri at Lumba Lumba. My time on Gam will be over NYE and I am travelling alone. Do you think this is a good break up of time, or should I be spending more time on Gam as I will be alone and the tours are easier to access as there are bigger home stays? I would appreciate any feedback / advice you have! January 2015 we booked a divepackage and paid it comfortably by payball. We liked our stay very much and decided to stay all 16 days, enjoying diving and snorkeling. The team of LumbaLumba did the best to make our stay as comfortable as possible. We highly recommend this guesthouse and want to thank for this nice stay. We stayed 9 days at Lumba Lumba and were quite happy about it. We booked in advance and payed 60% of the price by paypal. Which was quite convenient. Somebody picked us up at airport to bring us to buy the permit and after to the pier. The office for the permit was closed so Dedy went few days later to pick it up for us. Price was still 500 000 rs. The island is gorgeous : nice and clean bungalows (altough very basic), white sand beach, crystal clear water. The bathroom is shared. It’s clean. The food was good (if you like fish) and in sufficient quantity. The drink water was bottled water. We haven’t been sick. We booked 14 dives and did 15. Sometimes with Dedy (the owner) and sometimes with his friends/family. Safety is quite basic and I think that only experienced divers should consider diving there. The compressor used is brand new and the tanks are ok. You can also rent some equipment. I also would recommend a full wetsuit and booties (lots of coral on the beach). The dives site were nice and we encountered very nice things such as wobbegong, turtles, sharks, walking sharks, nudibranchs, blue ring octopus, many many colorful fishes and corals , etc…The current was sometimes very very strong. Hi christian – In case Christine doesn’t see your query… You can make a booking anytime before you go, but it’s always best to contact and reconfirm a few weeks before you leave, especially if you book a long time ahead! as you’d expect from Raja Ampat. would indeed buy the tickets and he assured us that everything was in order, but when we arrived at Waisai the friends had heard nothing of this deal and allegedly didn’t have any money with them to buy the tickets. operation – or maybe these guys just need a holiday and a rest before they take on any more guests! The water in the island is hard water. The hardness or sediment is calcium and magnesium from limestone and chalk. The water you drink is boiled to to the maximum to kill all the bacterias and soften the water thus the smokey taste from the firewood. The next process is to wait until its cool and let the lime sediment settle at the bottom, from here the water is pour carefully so as not to disturb the lime particles. However, this process is not entirely perfect and we will find sediment in the water. As far as we understand hard water is not a health risk and no guests have gotten sick before. We’re thinking this is from something else but please email us more about it. The water in the bathroom is something that we need to fix as soon as possible. We had improve the plumbing system last month and clearly there is still short of water supply and inconvenient for you. About the strong currents, Dedy being born and raised in Raja Ampat have good knowledge about the currents condition. Currents in Raja Ampat changes and what we think where its going sometimes they going to different direction. This is something we will look into again. We thank you for the input on this. In regards to your ferry ticket. We already sent a refund to your PayPal account. what happen is there was a miscommunication between Dedy and the person that drop you at Waisai. He had no knowledge that he supposed to pick up the envelope before leaving. Once again, please accept our apologies that the service you received was below expectation that you have the right to expect. Your input is a reminder to us all that we should never stop striving to improve ourselves. Our stay at Lumba Lumba was great too! We spent 10 days there, full of excellent diving and human experience! The staff was extremely helpful and at the same time very discrete. The food was delicious and in sufficient quantity: fresh fish and vegetables every day, sometimes chicken, eggs, fruits. We were a group of 6 people, all divers but of different levels and it worked pretty nice for everyone. They have their own compressor and boat, so we were able to do 2-3 dives per day, and even to do several night dives. We saw many sharks, almost during every dive, manta rays in Manta Sandy, dolphins, turtles, barracudas, etc. The sea was extremely calm during our stay. There were almost no mosquitos in Lumba Lumba. We were lucky to be there during Easter Holidays, so the s taff inv ited us to join the celebrations on a neighbor island where we enjoyed listening to drums and …dancing with local people until late at night! It was such a special experience! We arrive didn’t know what to expect from lumba lumba. It turns out everything is above expectation. We stayed for two weeks diving. The food is delicious, lots of vegetables and fish. Breakfast consist of banana doughnut, fried rice or sometimes fried noodle. The view from the bungalow is fantastic. In the morning, dolphins in large number swims about 50 meters from the beach. Later in the afternoon, eagle rays or manta jump off the waters. We also saw whale flipping its tails while relaxing on the beach. The diving is superb. The boat “slow but sure” is not the prettiest but routinely check & maintain. They have a new compressor and DIN tanks. In total there were four of us and we did in total 34 dives visiting the most famous dive sites in the area. Some of the best dive sites in the area; cape kri, sardines, chicken reef, and saondarek jetty is magnificient. Lumba lumba house reef is rich with corals and fish. We saw eagle ray in one of the dives in the house reef. The Jetty yenbuba only 5 minutes away is one of the best highlights. Lots of things to see from nudibranch to manta sleeping at the bottom. We then got on the public ferry to Weigo where we were going to get picked up . The next day , we snorkled round to Lumba Lumba to find out what was going on . We were not greeted … Ignored as we washed up on the dirty beach … We decided as that it was so unfriendly we should rather stay round the corner . We texted Boni ( who we made the booking with ) and asked if he would still honour our trip back to Sorong . He said he would . 2 days before we left , we tried to get a direct answer as to what time and where we were being collected . Boni passed us on to Deddy … Who in turn ignored our texts. It basically cost us £200 for a boat from Sorong to Wasai !!! It is perfectly easy to navigate yourselves around from Sorong to the Je Meridien ( across the road ) it is also perfectly easy to get on the public ferry and organise a homestay without paying a deposit ! hope you have a great time in Raja Ampat. We paid the family who have us a lift from Wasai to Raimons place … !!!!!! I was tsaying at Lumba Lumba for 7 days. The beach is great (but could be a bit cleaner – too many plastic bottles), the food was good. But unfortunately it was not possible to get all the 17 dievs I was booking in advance. There were several problems like no boat, no tanks, no oil for the compressor and so on. So in the end I only got 8 of 17 dives. All in all it was ok.
we recently had the pleasure of staying at lumba lumba for a week. our flight was delayed (the norm it seems in indonesia :) ) so jerry came right up to the tarmac at the airport to collect us, picked our bags off the airline trolley, rushed us to je meridien to get our tags (still @ IDR 500 000 ;) ) and off to the harbor where the ferry was luckily still waiting. (the synergistic effect of all the delays are quite convenient sometimes!) Dedy had some bad luck with a broken boat in the week that we were there but went out of his way to rent other boats to take us around and get us diving! we were on their boat, the aptly named “slow but sure” (it’s last trip) as the sunset and arrived at kri in a wake of bioluminescent plankton. from here we lived relaxed on island time. if you are a serious diver, intent on 3 dives a day every day you should consider rather diving with a resort. as our boat was out of action we were a bit at the mercy of boat rentals. which meant some days no diving, some days one and on others 3. this suited us perfectly, made for a more interesting and relaxing time on the island. we found the days with 3 dives exhilarating but also very tiring. the snorkeling on the house reef is great. we snorkeled all the way to yenuba village one day and caught a lift back hanging onto the sides of their small home made wooden boat, captained by 12 year old fernando! we saw loads of sharks and had one adrenaline filled close encounter :) loads of turtles, parrot fish, blue spotted rays, yellow tails, schools of giant bumphead parrot fish, squid, clown fish, starfish …. we dove at yenuba jetty, cape kri (nice drift, dedy managed to point out a pygmy seahorse on dive number 10), mike’s point (very colorfull corals and interesting topography) mia skoon (large schools of colorfull fish), wai island (plane wreck), house reef (shore dive from lumba lumba) manta sandy (amazing), aquarium, and sardine reef. a highlight was seeing a manta ray jump out of the water on the way to pulau wai. we went to see the bird of paradise on gam one morning – take mosquito repellent!!!!!!! dedy guided all our dives. he is a rescue diver. we felt safe at all times but he does not babysit you. one diver in our group was very new (only got open water a week before the trip) and managed well. dedy let her buddy breathe almost every dive so that we don’t have to end the dive too soon ;) he points out the tiniest nudibranches and hidden eels and crocodile fish allowing you to trip on the busy macro life and colorful reefs! The dive equipment is from Wobbegong dive centre, just around the corner of the island and is all very new and reliable. Dedy said they were busy getting their own equipment. the bungalows are very basic but comfortable. 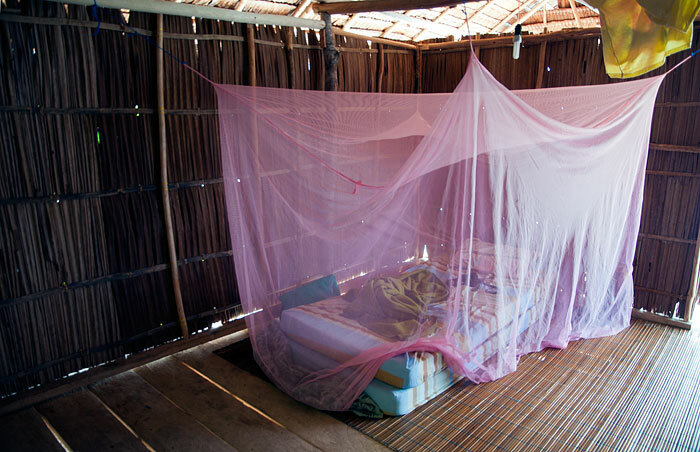 mattresses and mosquito nets are the only furniture. dedy has a nice dry sense of humor and has an extremely relaxed manner that makes one feel at ease. he played guitar and sang for us on the beach at night. constant has a crazy fro, helps atcha with the food and plays ukulele and harmonizes with dedy. Atcha (Dedy’s sister) makes lovely fresh veggies and fish and very interesting variations of egg and noodle dishes. be sure to ask for her delicious sambal! Boni is the contact person, but lives in Jakarta, this helps with fast efficient communication. He helped with booking flights while at lumba lumba. Very helpfull as there is almost no cellphone reception on the island. overall it was one of the best weeks of my life that I won’t forget soon. A great intro to central Raja Ampat. new HAPPY PLACE! My stay at Lumba Lumba, traveling as a single lady was nothing better than ZEN wonderful!! I booked the trip very last 3 days then left on the fourth day from the time I found this Stay Raja Ampart web site!!! Dedy is wonderful, and does everything he can to keep us diving and happy! It was just one other couple and myself for the week on this private island. We three dove with Dedy who knows where to take you. The food made by his sisters was very tasty. We came back from Lumba Lumba one month ago and like Eric it was a wonderful experience, alone in the south of mansuar island, very quiet place. Dedy is a very nice “joking” man, Acha a lovely cooker, very very nice personn, Fredy and Lucy also… so we were very happy to be in this place. The reef is impressionnant with sharks, turtles and many many corals and colored fishes. And the last day at the breakfast time we have saw dolphins (lumba lumba) from our bungalow!! ARE THEY HAVE A DIVE FACILITIES OVER THERE? Of course they have dive facilities with papua dive. No problem with Dady, he knows many and many people around the island! Just drop your Text Msg (Sms) or Give It A Call to +6282238300949! Hope can hear you from any of you soon! Now, this would be where.. inbetween Mankur Kodon and Koranu Fyak Bungalows? Hi Nic. It’s actually on the south side of the island – KRF is north side, MK is western end. Received by email from Vanessa Galopin, who first told us about Lumba Lumba and provided the original info and photos – thanks Vanessa! We stayed 26 days there in march 2013, we use to travel but had the best trip of our life there, because of the site but because of this family too! They permitted us to stayed in the family in Yenbuba village and did activities with local people, that was a realy good share for us and great moments. Meals are really good! Breakfast: cake or banana donuts or other, coffee and tea refilled all day, lunch and dinner fresh fish (barbecue, smoked, in sauce..) with rice and vegetables, sometimes chicken or eggs. Fruits. Aca cook very well! For more photos and information about Lumba Lumba Guesthouse see Vanessa’s French language blog page. What about mosquitoes and malaria? 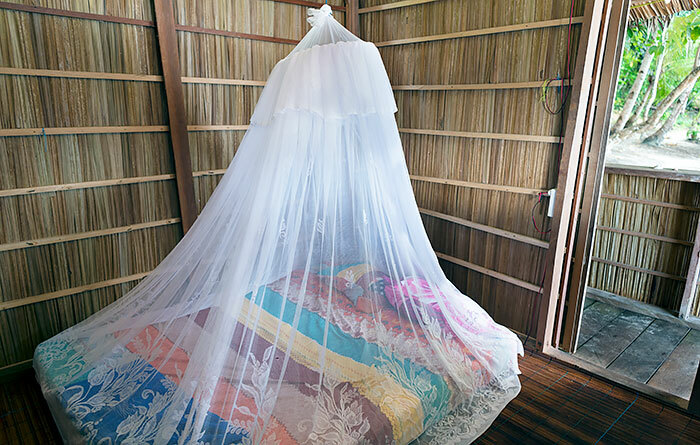 Malaria exists in Raja Ampat, but the risk of catching it is very low if you are only staying at a homestay for a week or two. Please see the information about malaria and mosquitoes in Raja Ampat on our Health and Medical page.